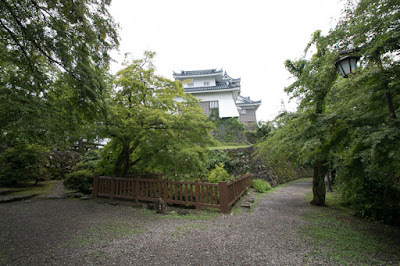 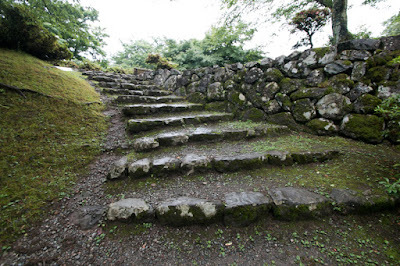 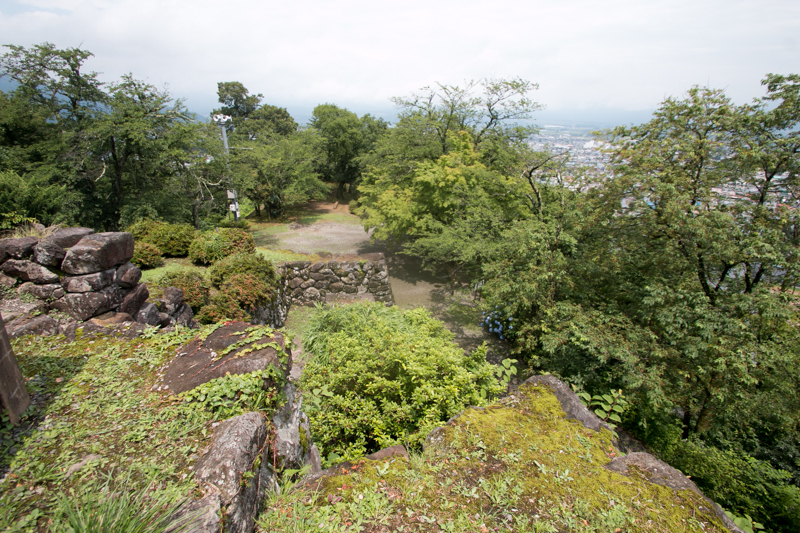 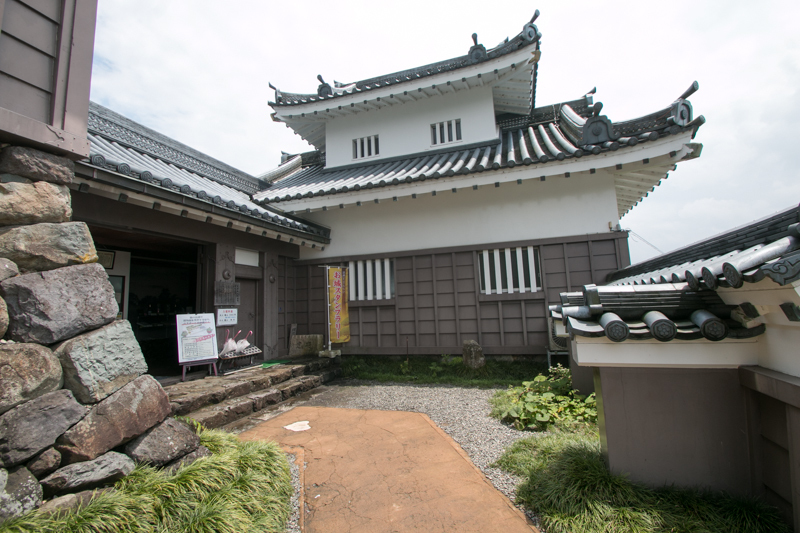 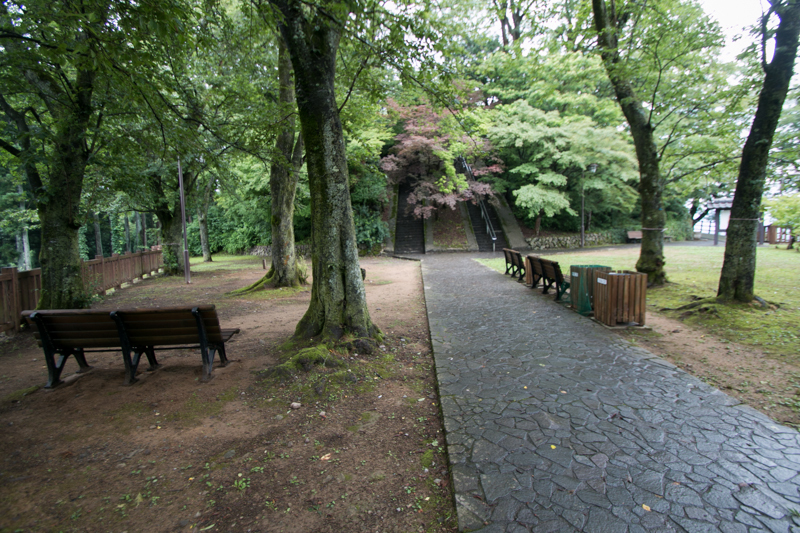 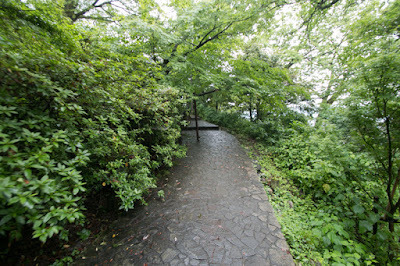 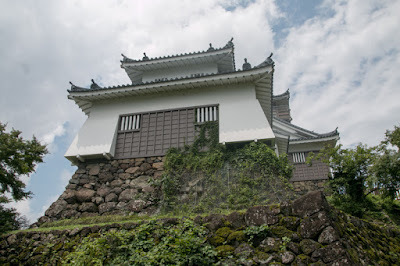 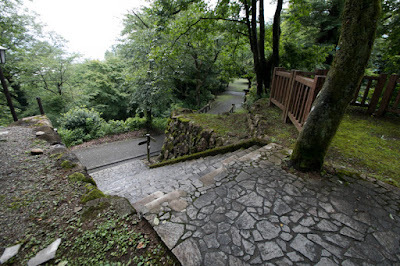 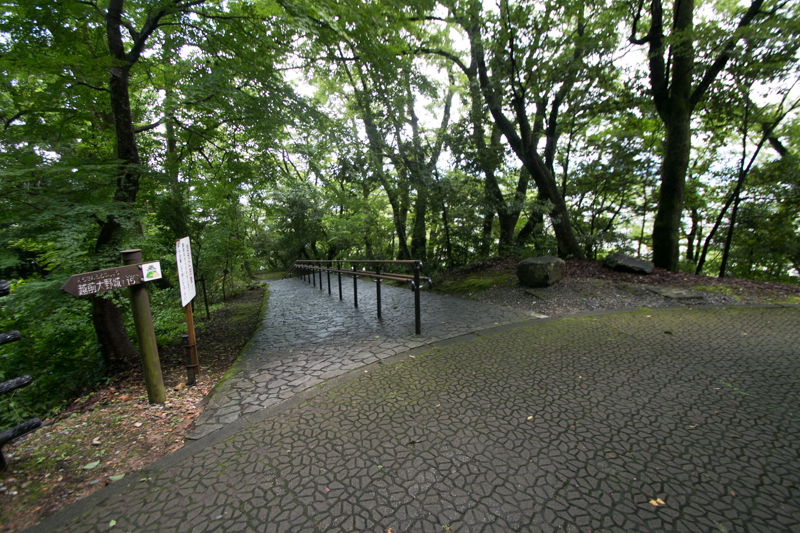 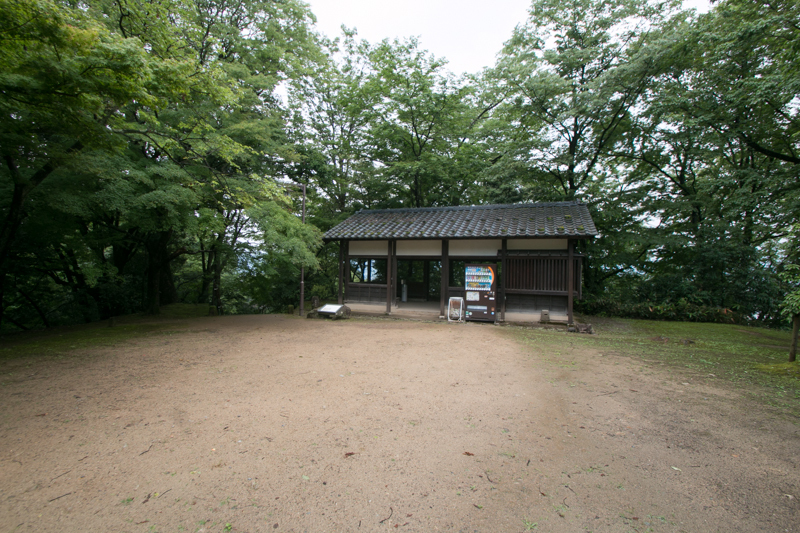 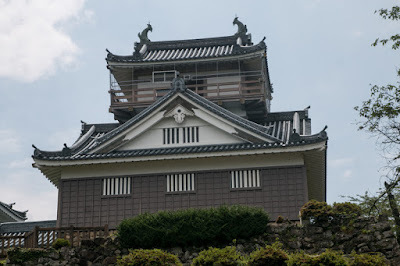 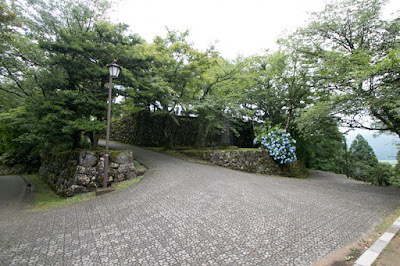 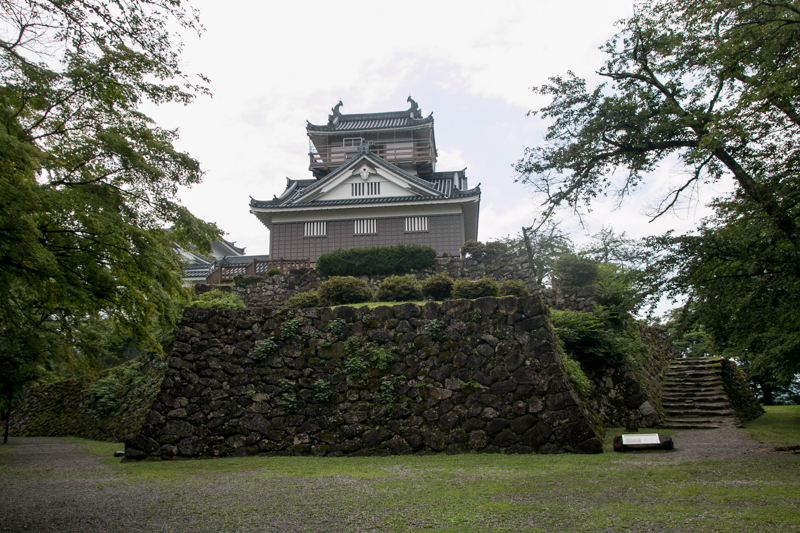 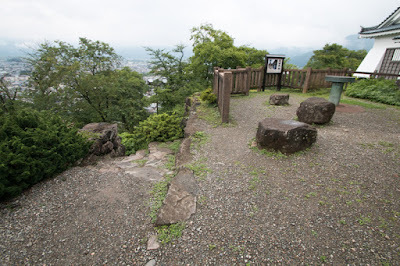 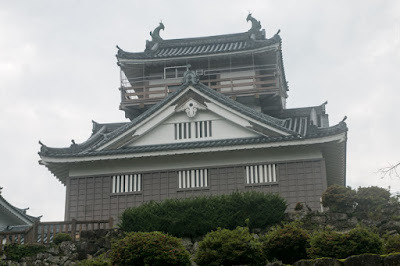 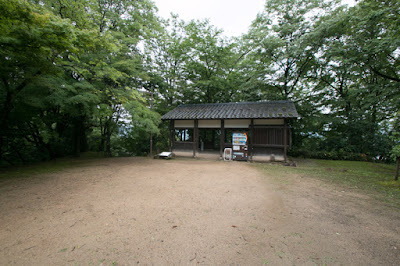 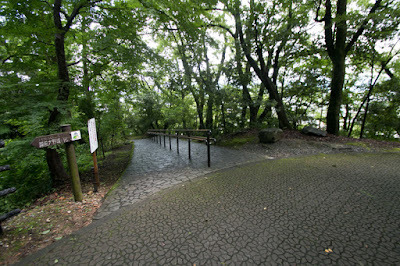 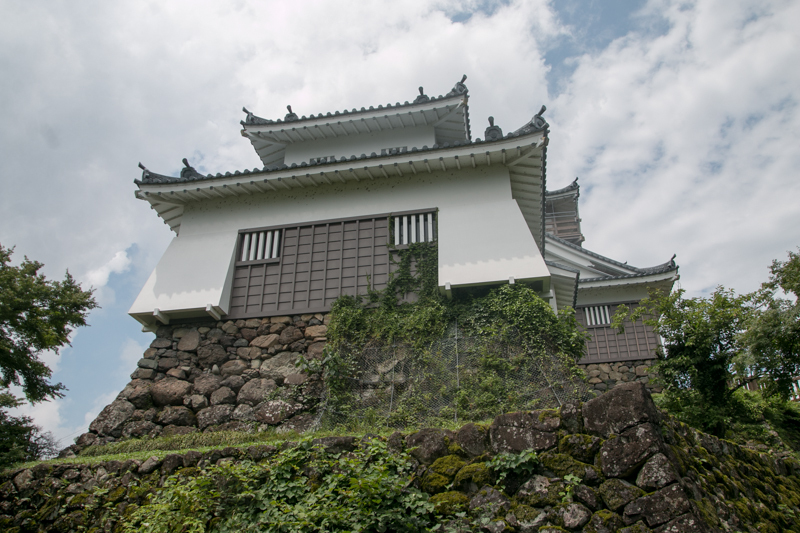 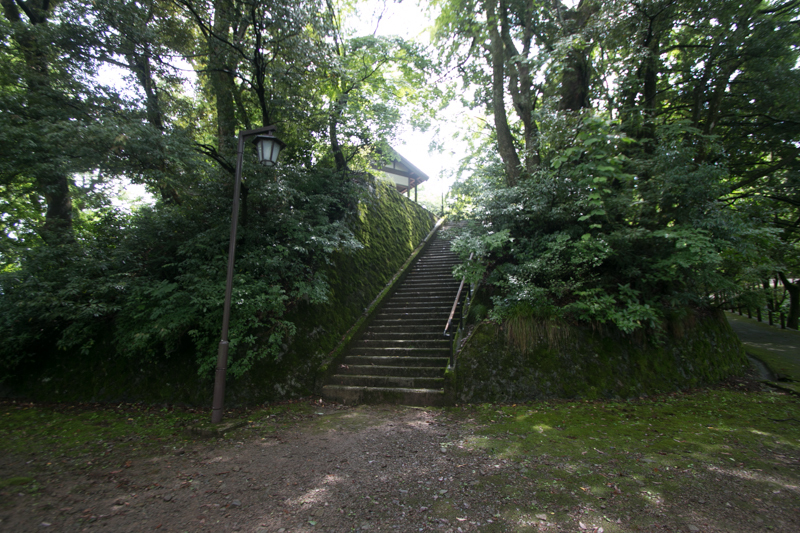 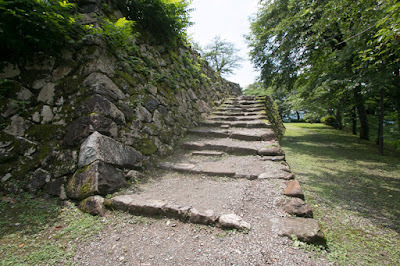 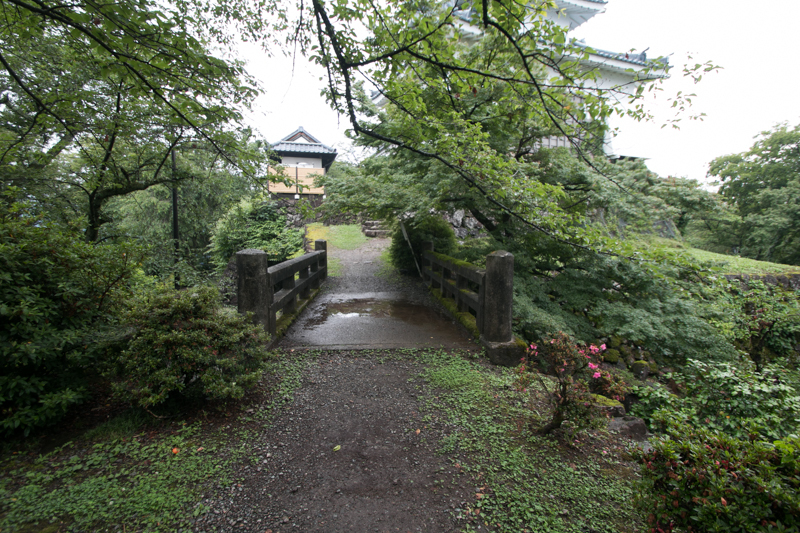 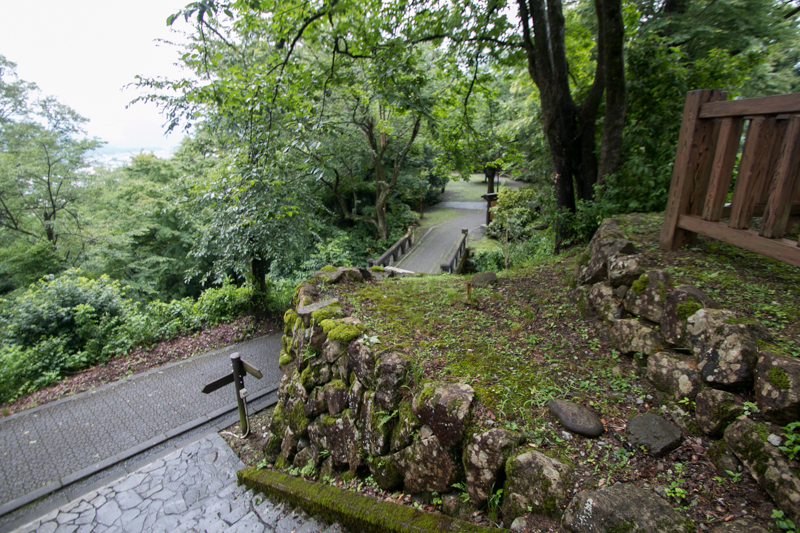 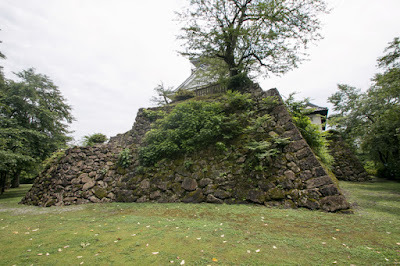 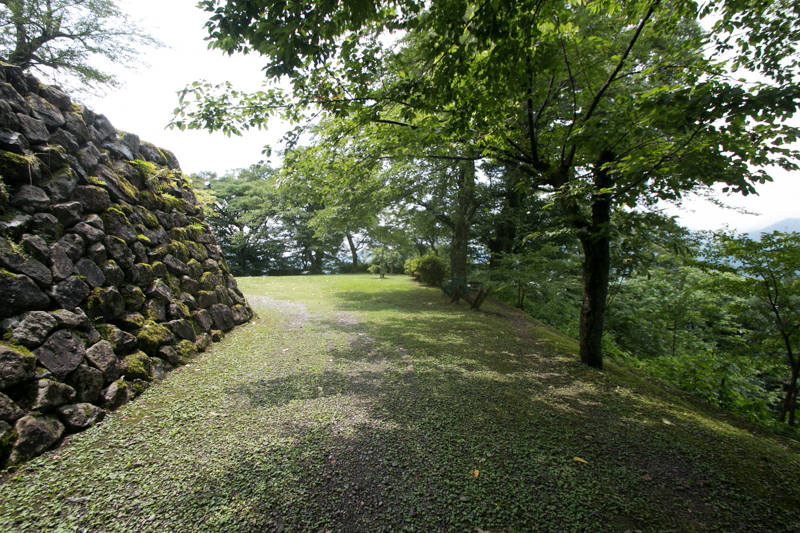 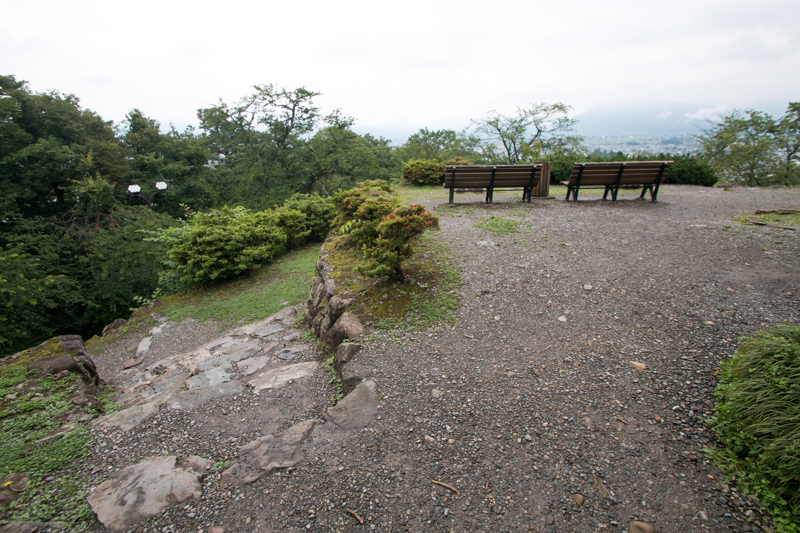 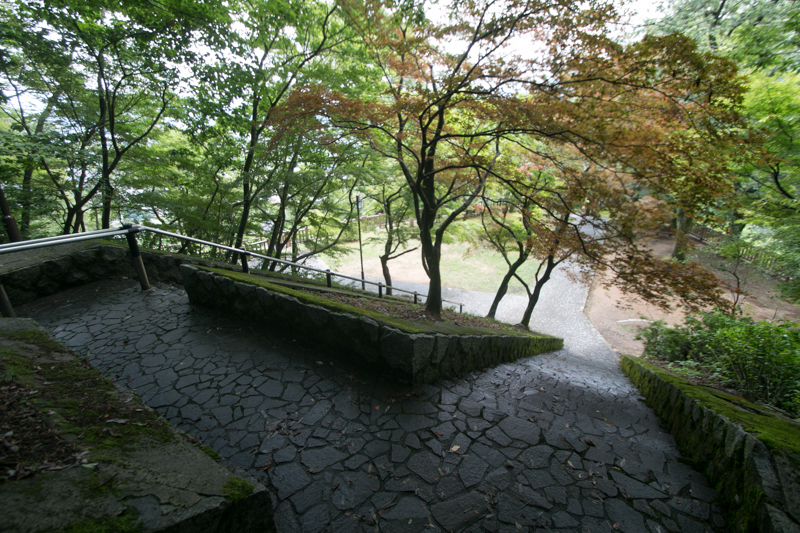 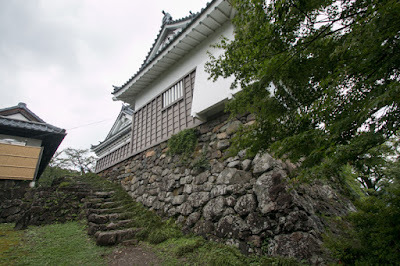 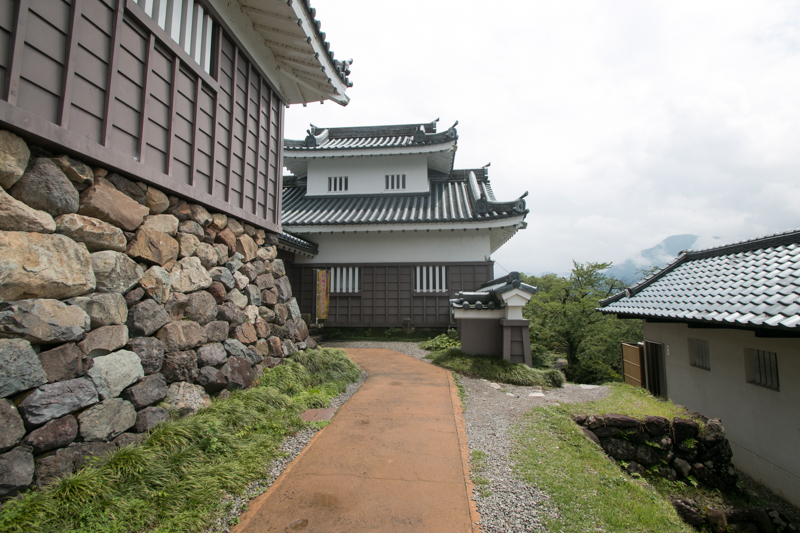 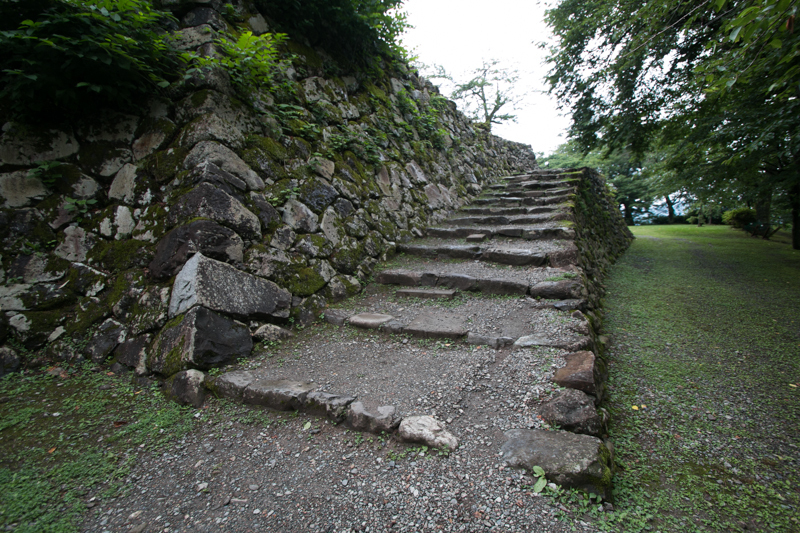 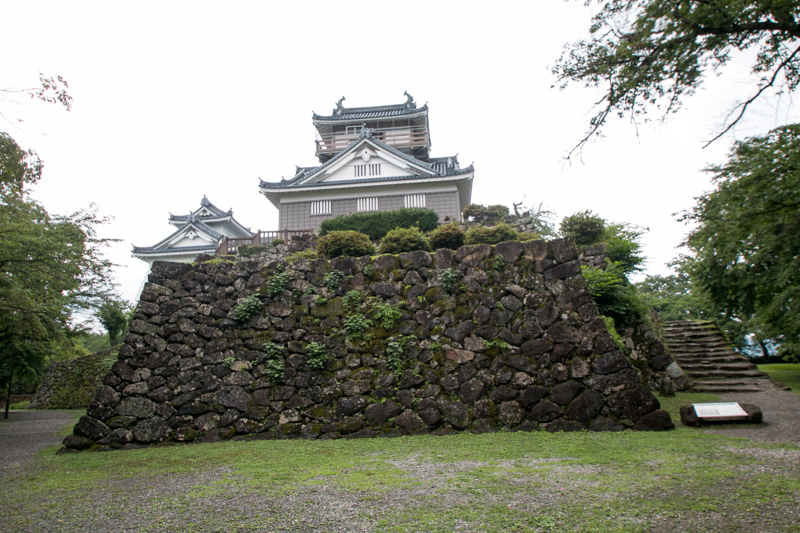 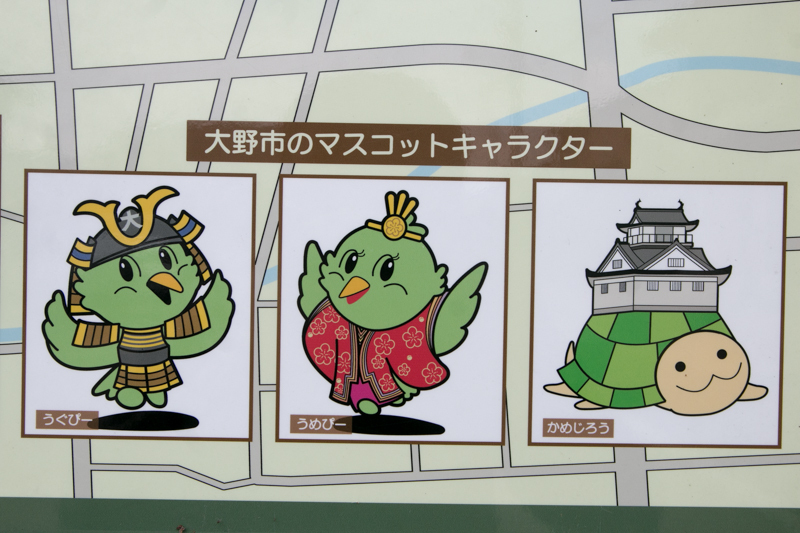 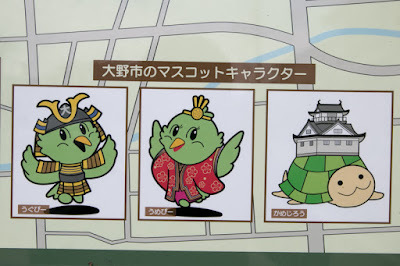 Echizen Ono castle (越前大野城) is located at Kameyama hill at the center of Ono city. 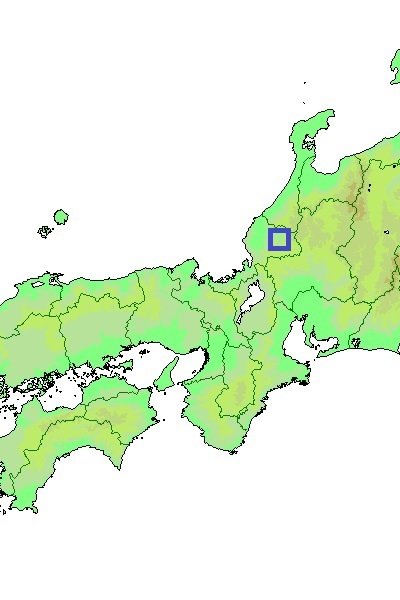 Ono city locates at the northeast area of Echizen province (Fukui prefecture), and had been a center of eastern part of Echizen province (Fukui prefecture). 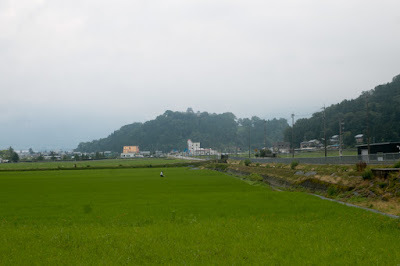 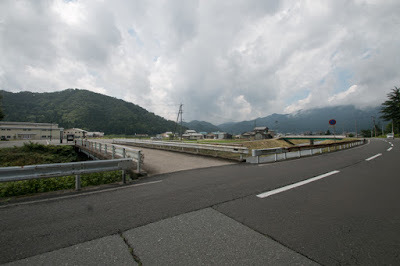 Ono city is a gate from Mino province (Gifu prefecture) to Echizen province via Gujo-Kaido road, even though the city center is 60km apart from the border. 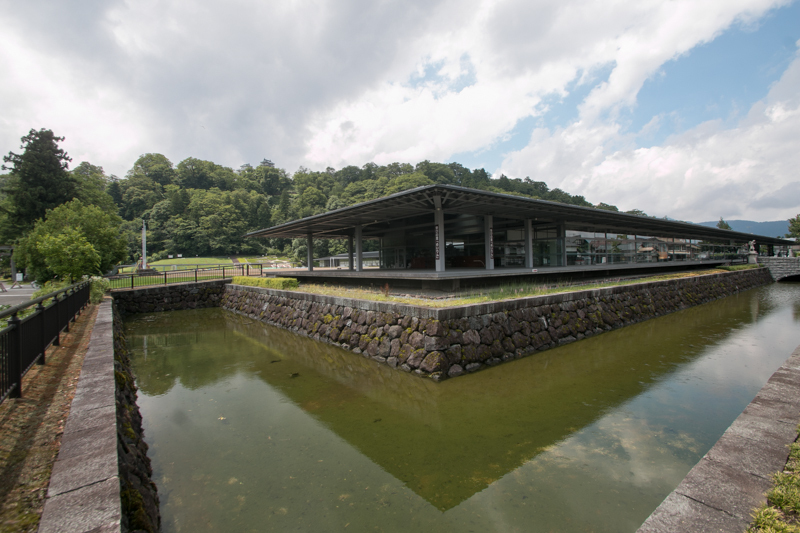 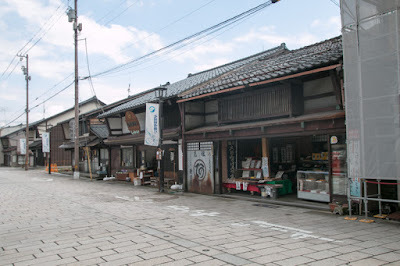 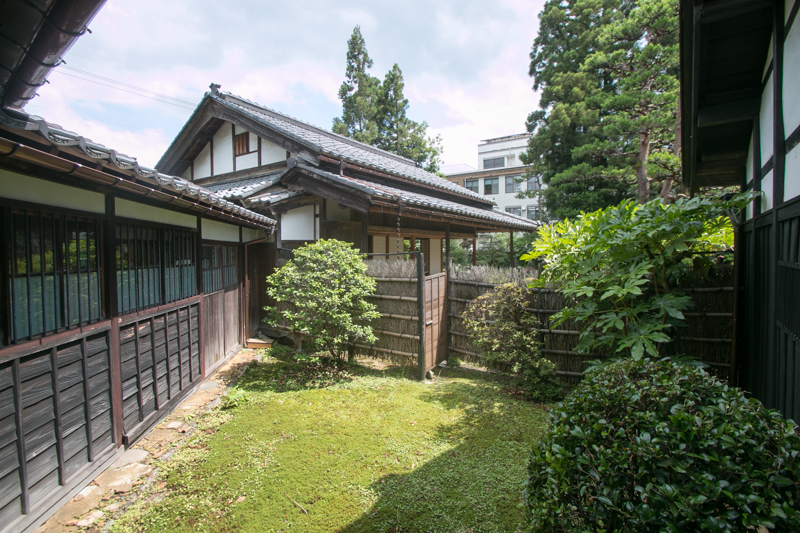 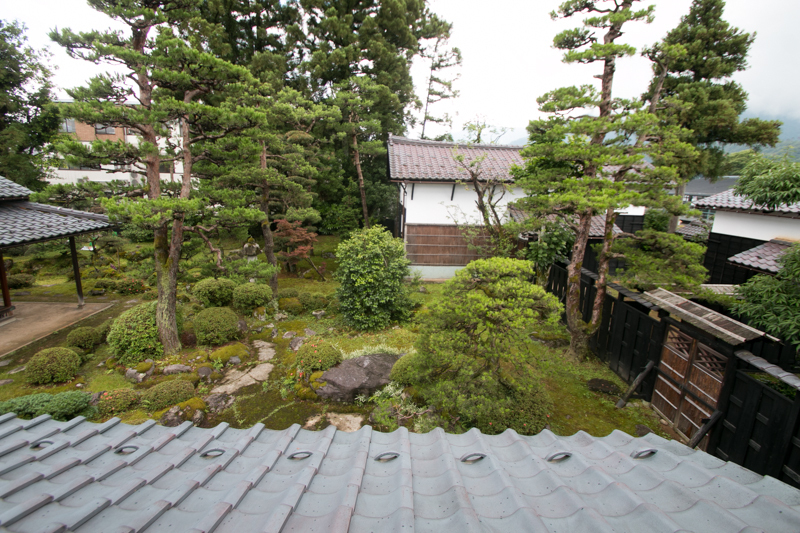 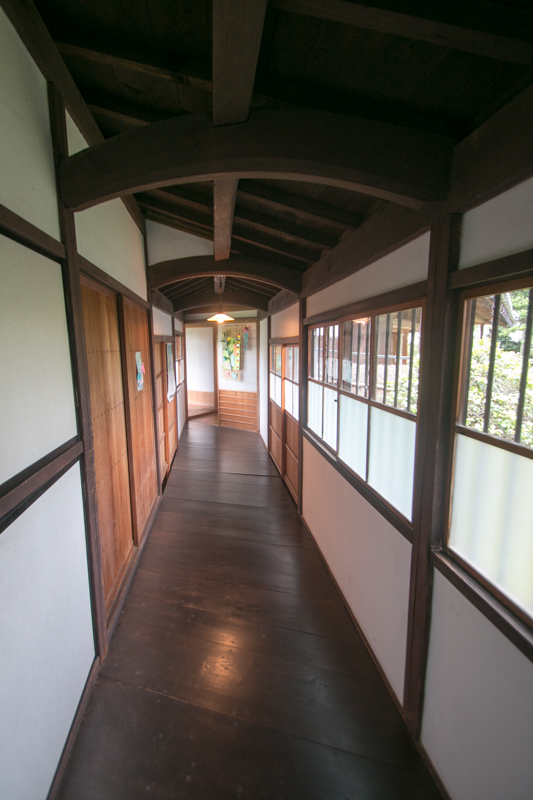 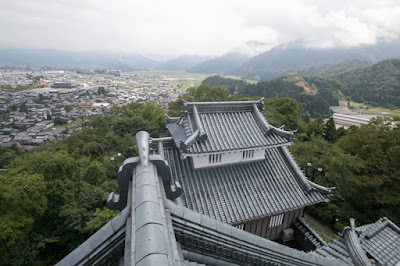 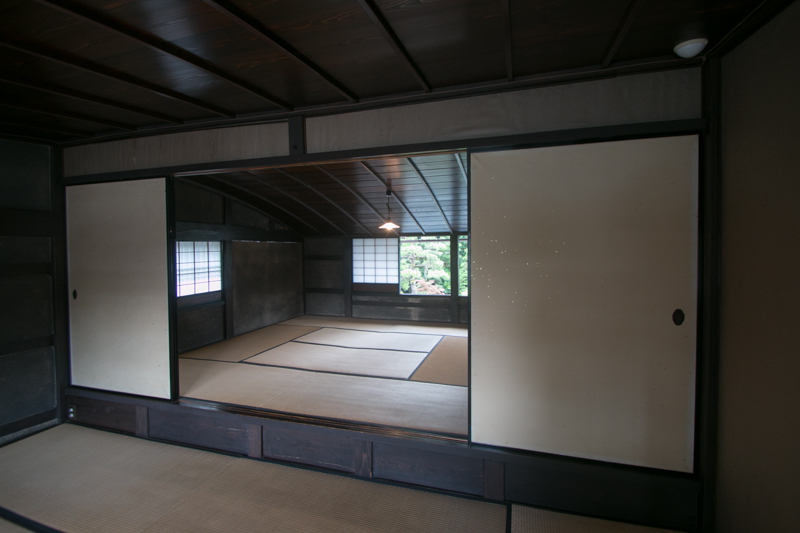 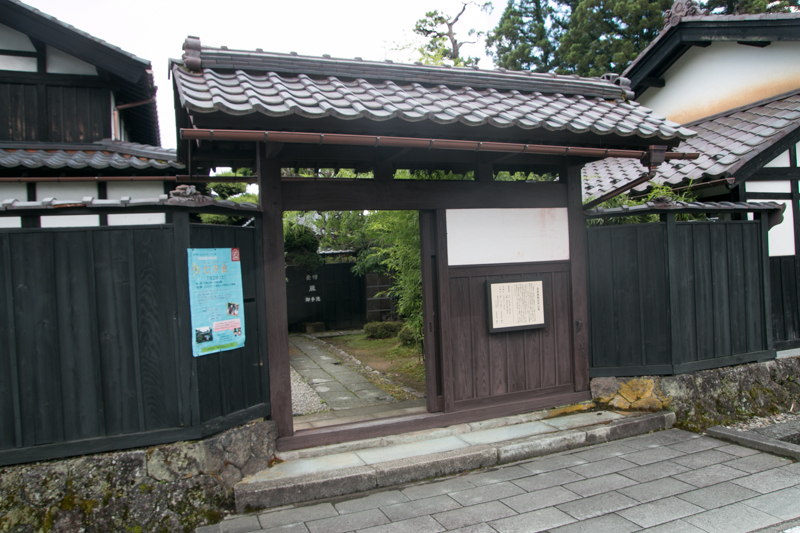 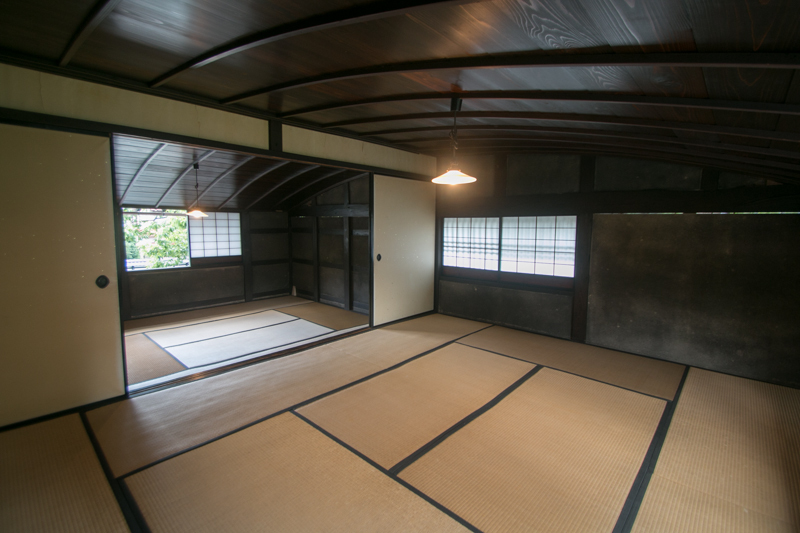 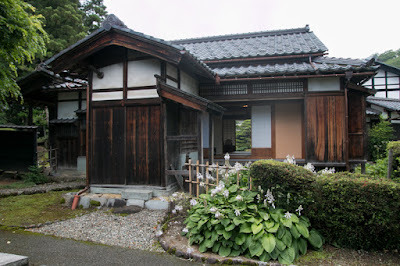 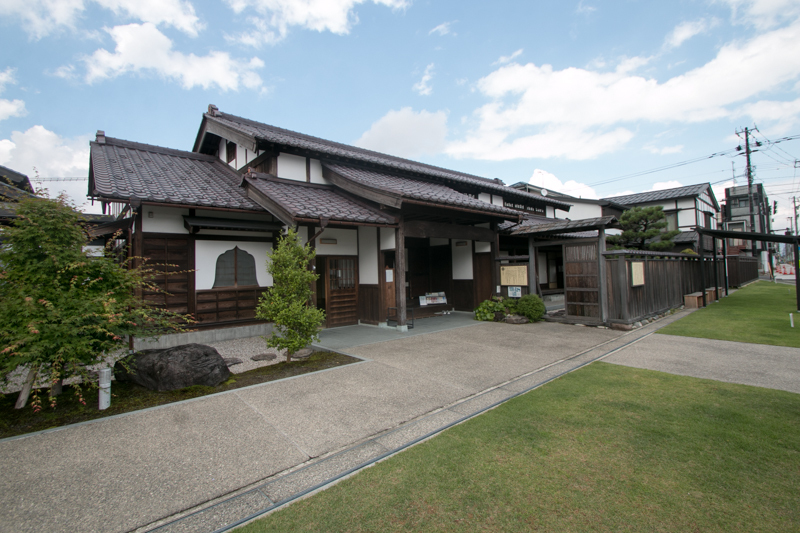 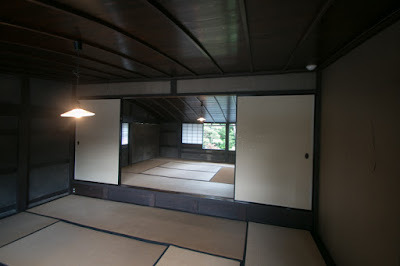 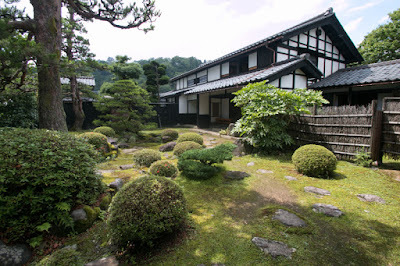 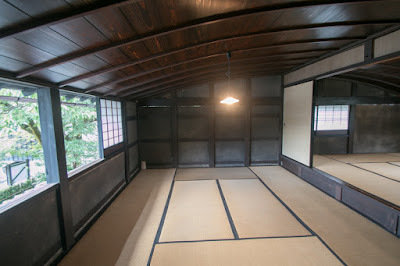 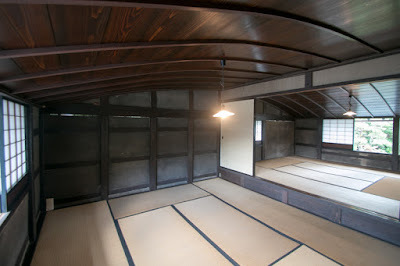 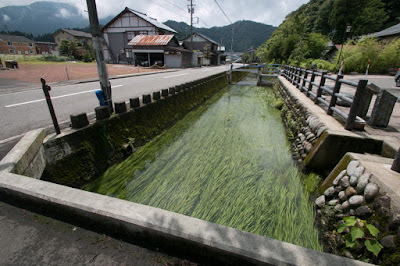 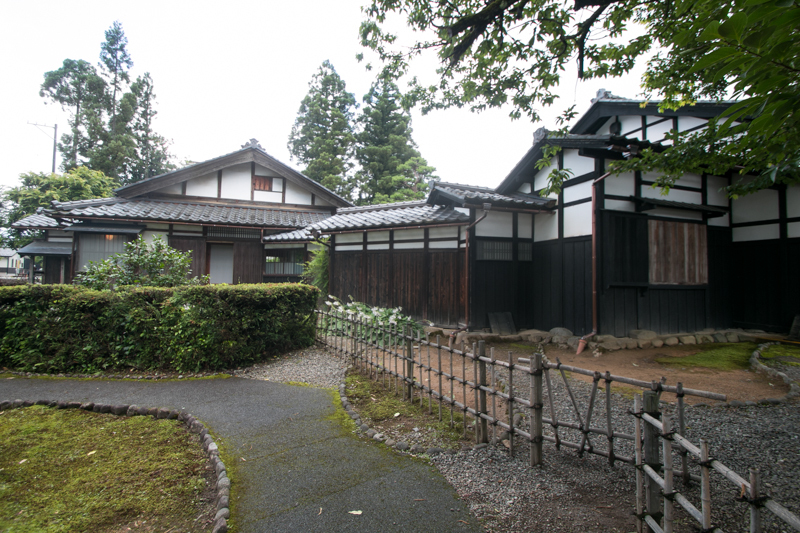 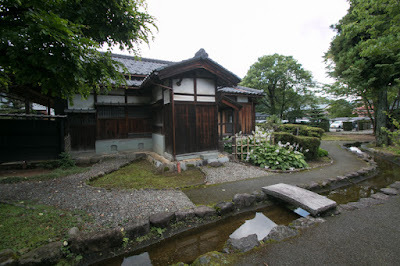 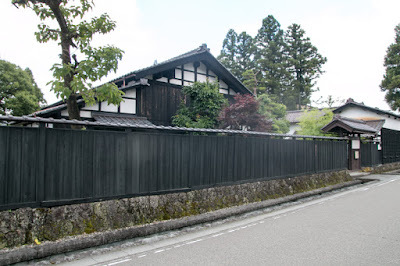 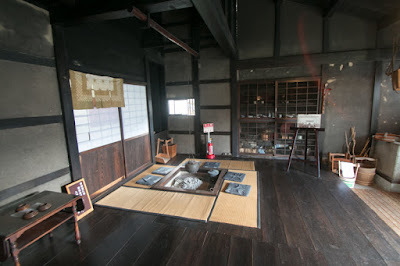 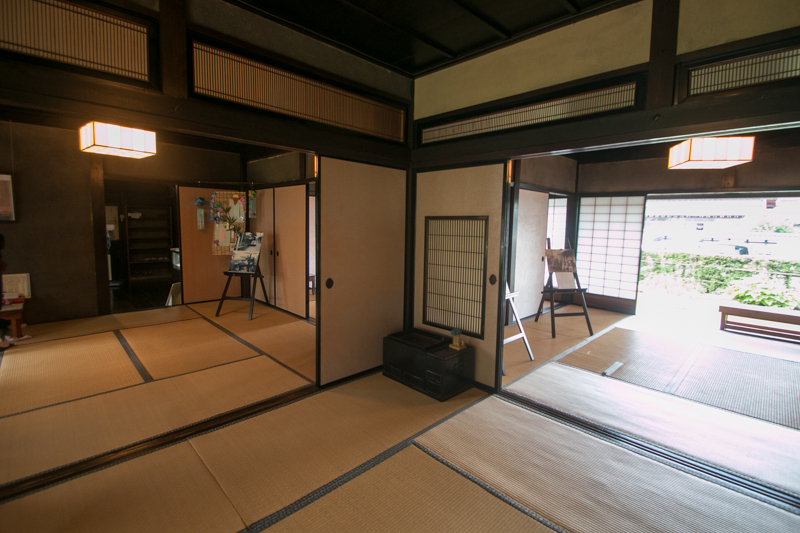 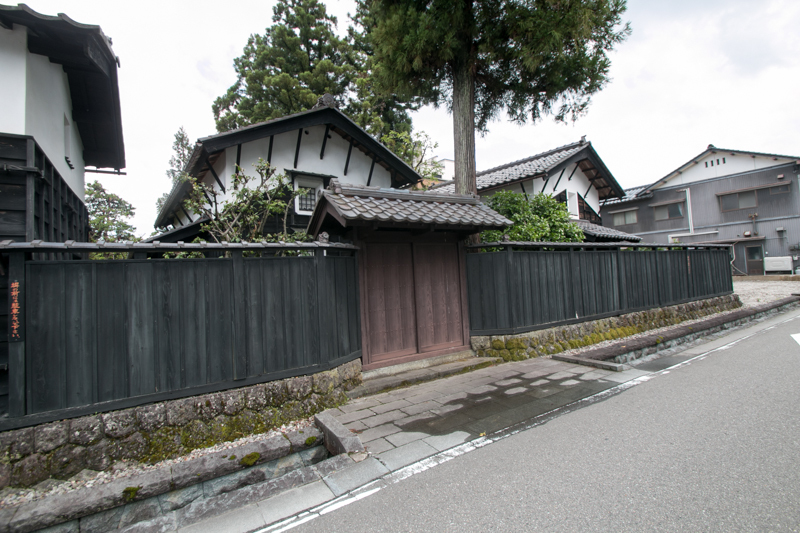 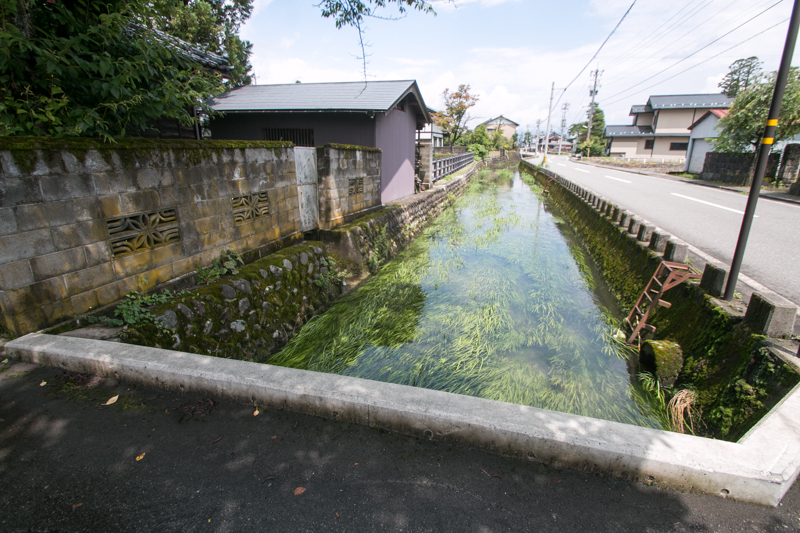 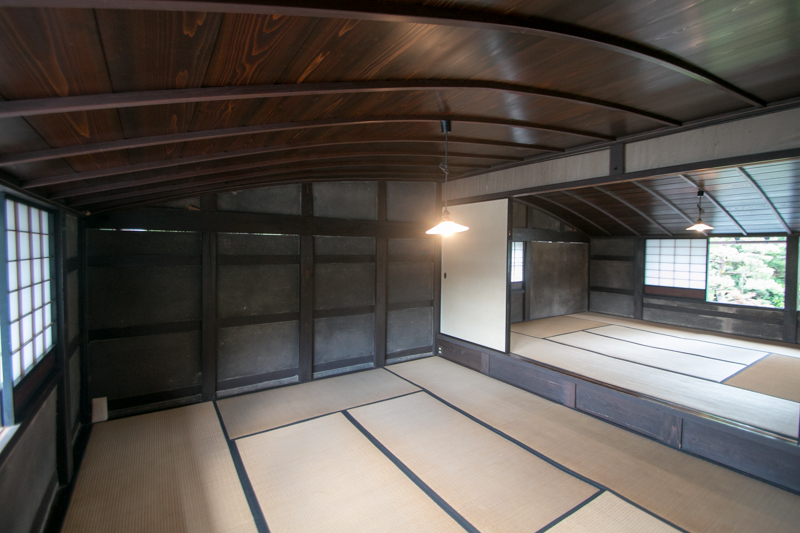 Ono town is known for its traditional buildings and known for “Small Kyoto” in Hokuriku region. 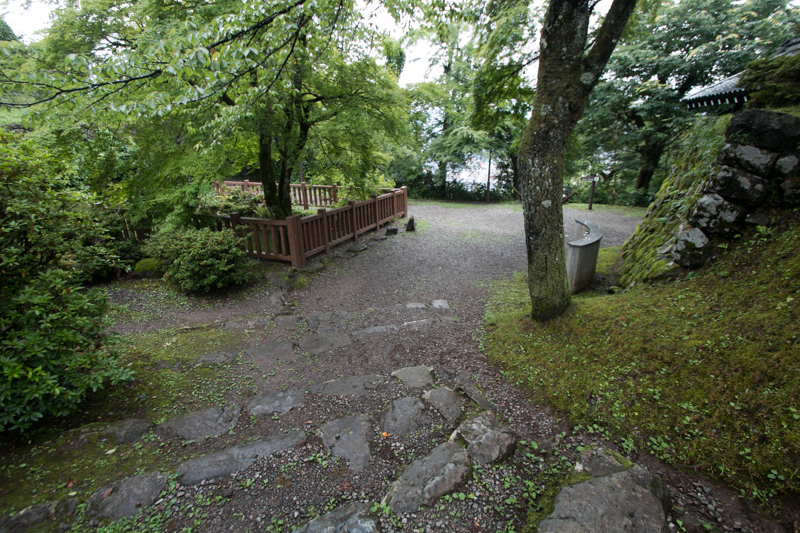 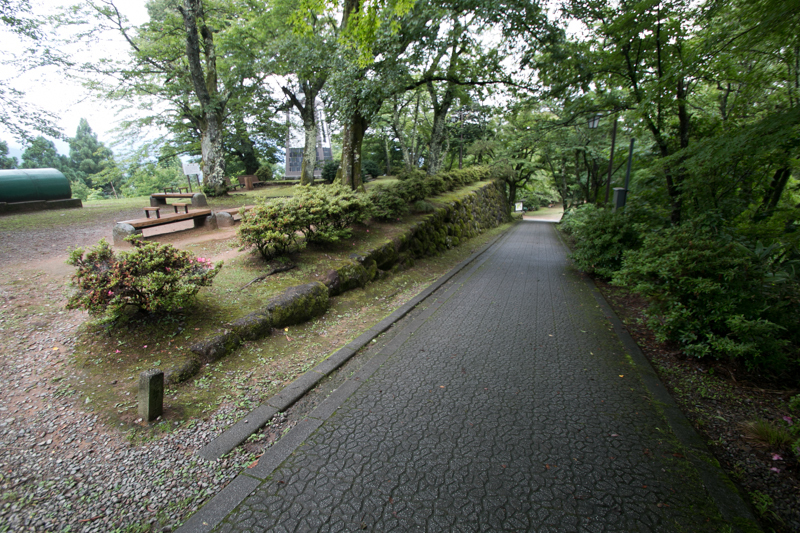 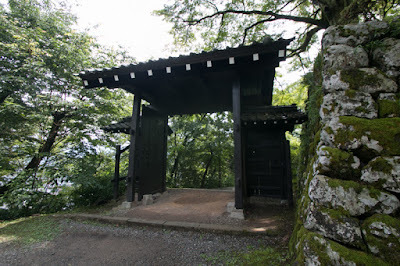 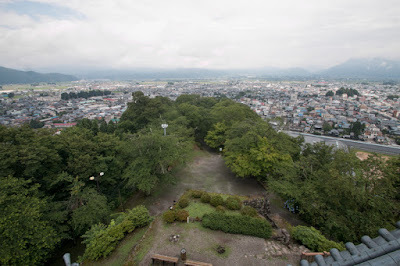 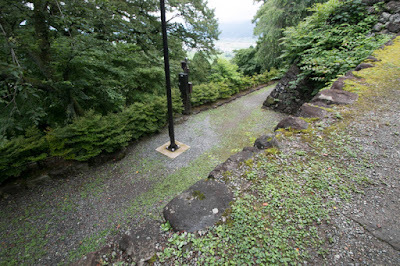 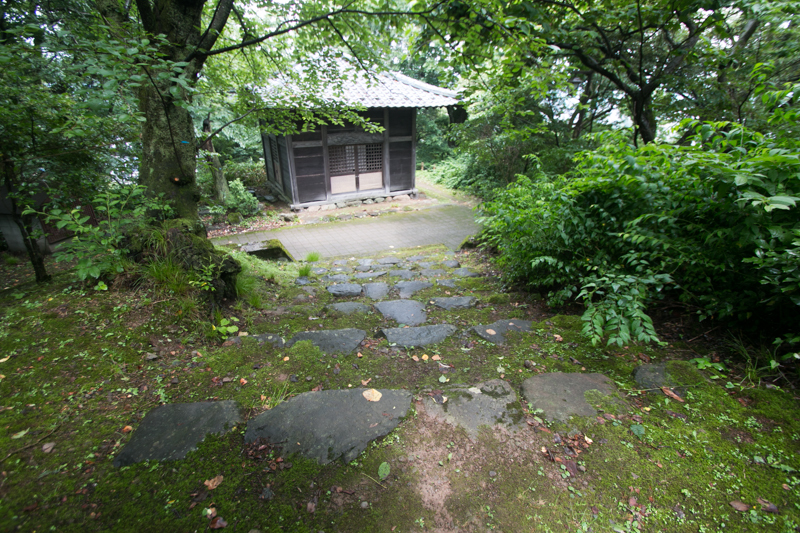 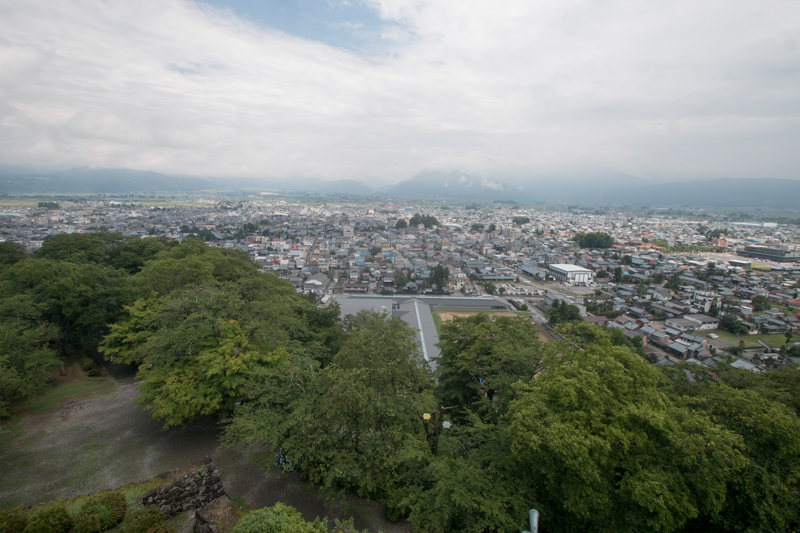 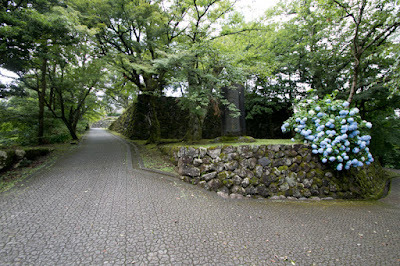 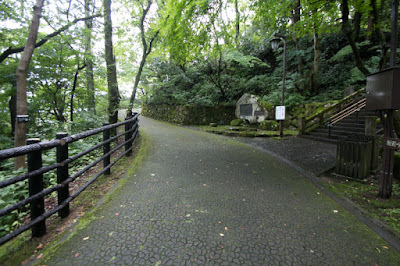 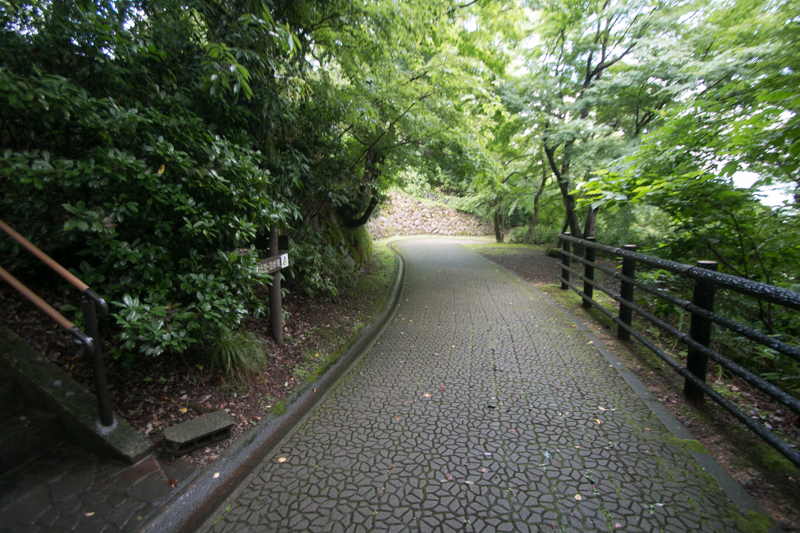 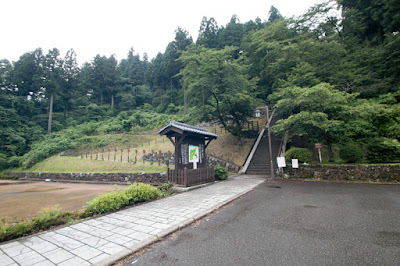 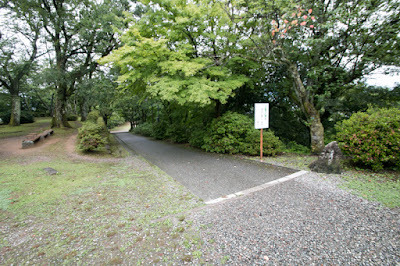 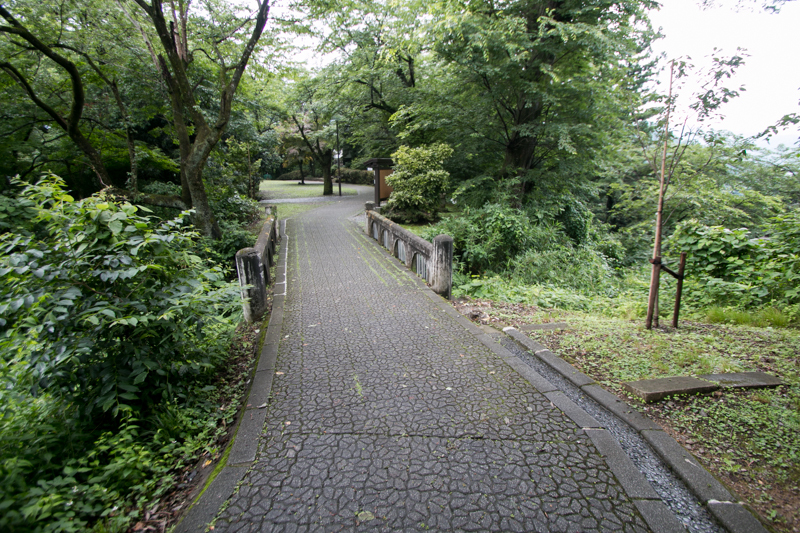 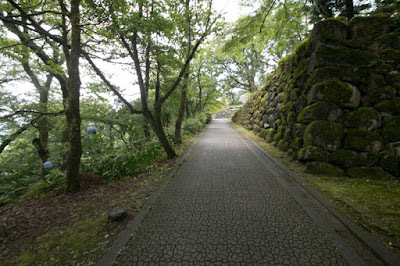 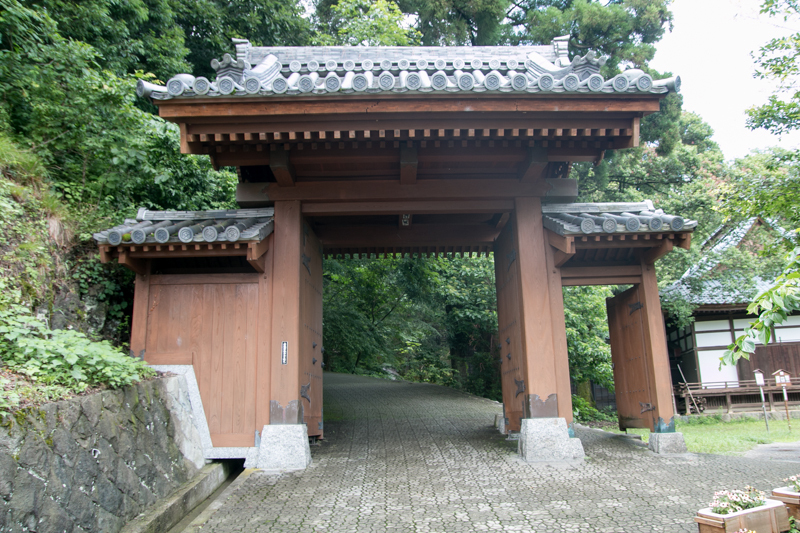 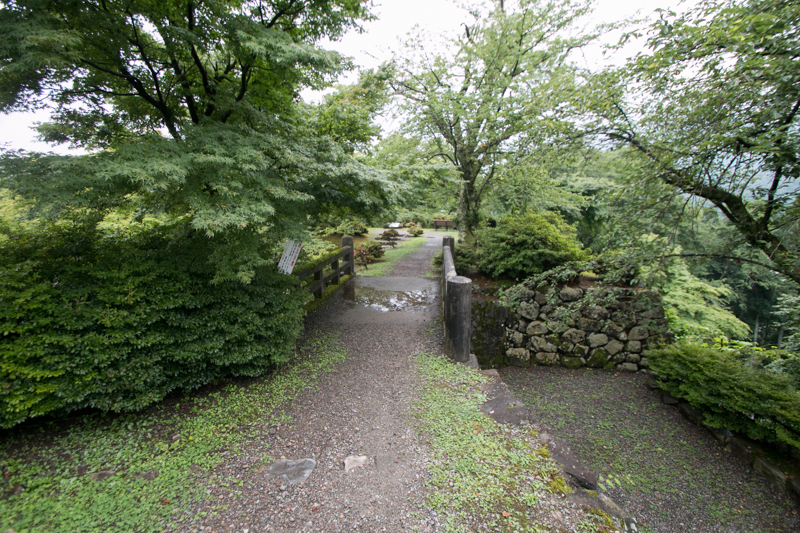 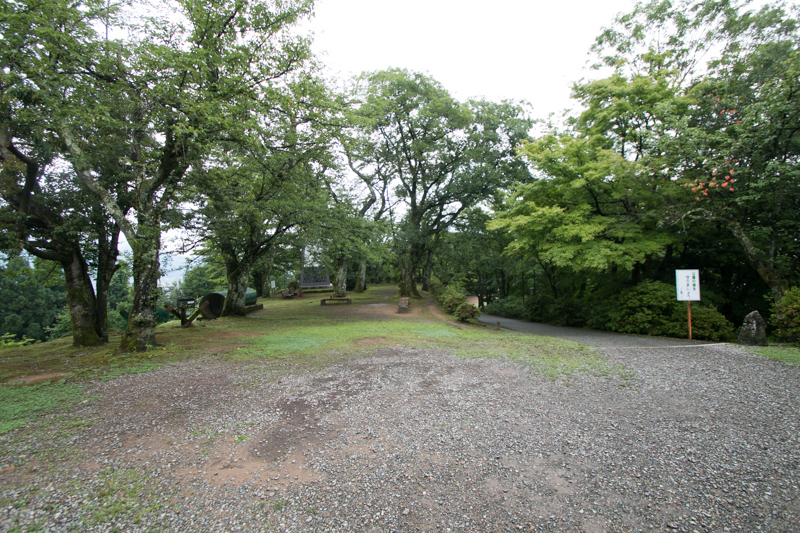 From the beginning of 16th century, Ono area had been governed by Asakura clan, the governor of Echizen province. 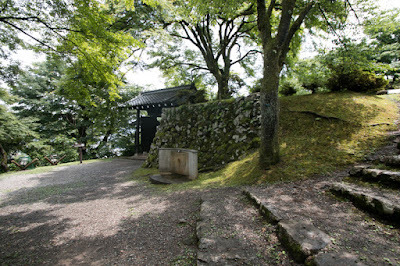 There was the Heisenji temple, a large temple had thousands of monk solders, near the Ono area, but Asakura clan kept friendship with the temple. 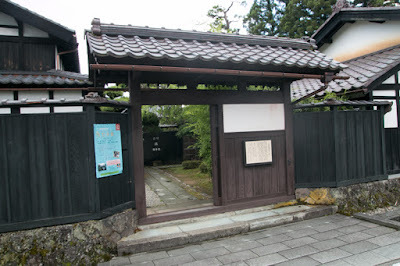 In 1573, when Asakura clan was extinguished by Nobunaga Oda (1534-1582), Kageakira Asakura (?-1574), cousin of clan leader Yoshikage Asakura (1533-1573) and lord of Ono area, betrayed Yoshikage who escaped to Ono area and forced him to suicide. 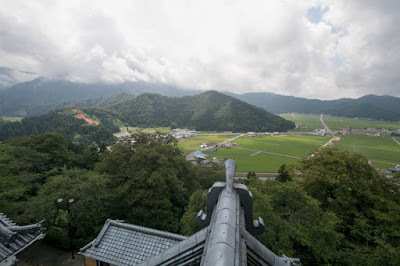 But next year Kageaki was attacked by large army of Ikkoikki uprising consisted of believer of Ikkoshu (A denomination of Japanese Buddhism) and also killed as a traitor. 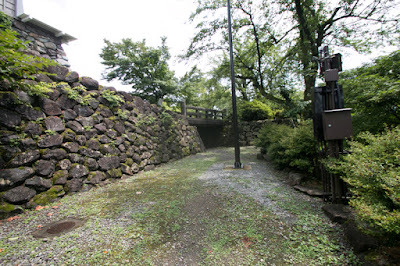 After the suppression of Ikkoikki in 1575, Nobunaga placed his general Nagachika Kanamori (1524-1608) as a lord of Ono area under the control of regional commander Katsuie Shibata (1522-1583). 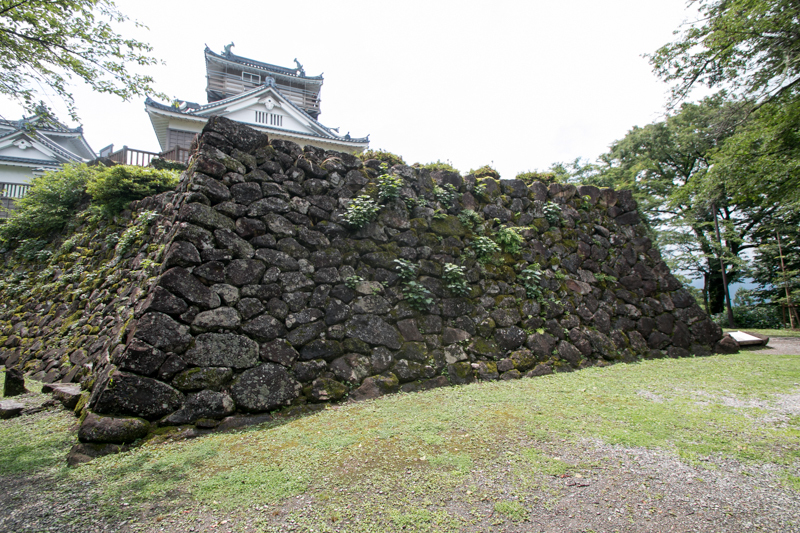 As a new ruler, Nagachika started to build a new castle at Kameyama mountain with latest technology next year. 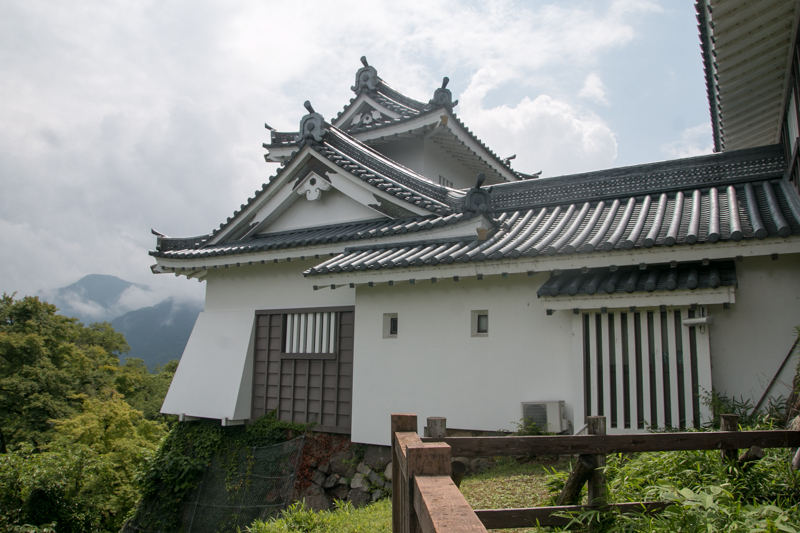 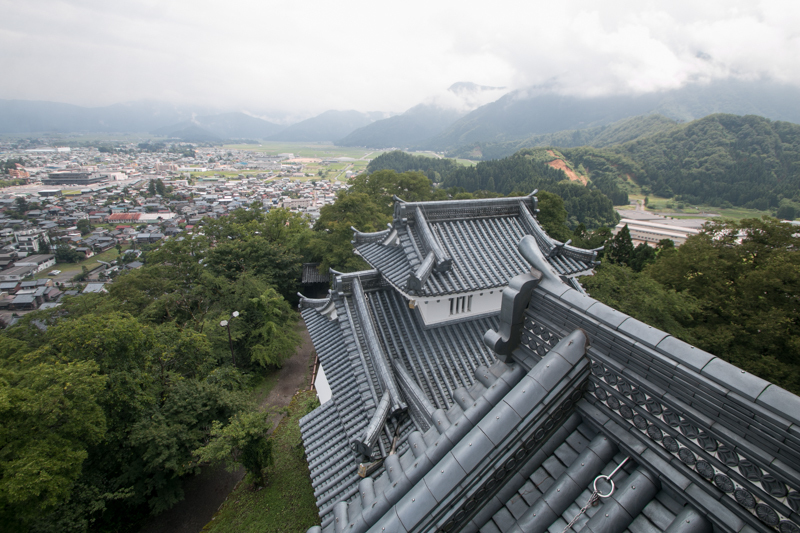 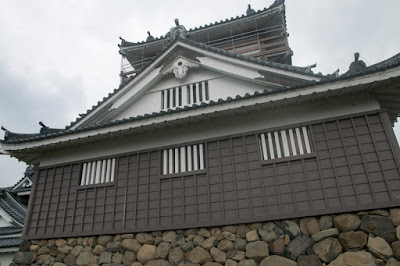 After several years the construction has completed in 1580 and new castle was named as Ono castle. 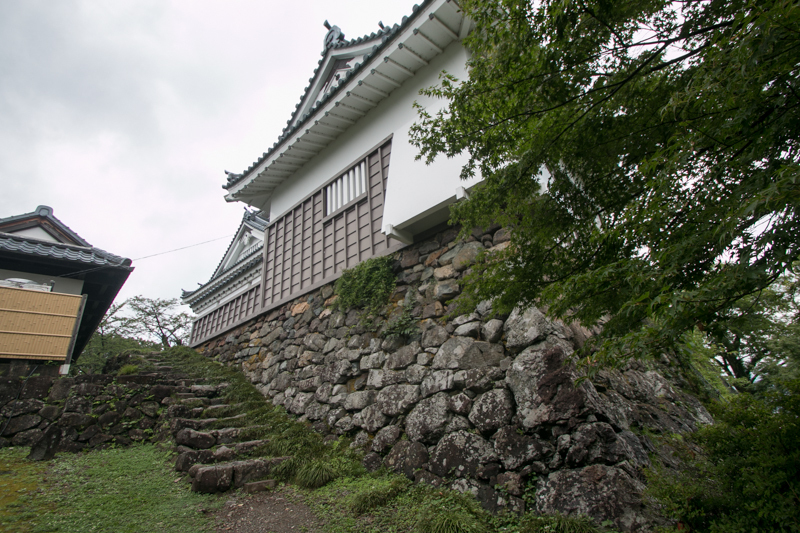 Ono castle was built using whole part of long ridge of Kameyama hill spread east and west ward, and its total length is about 300 meter. 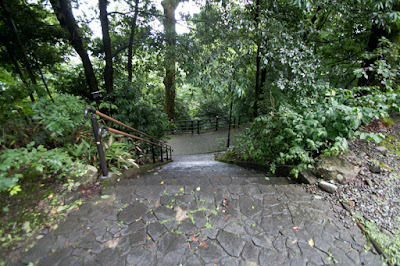 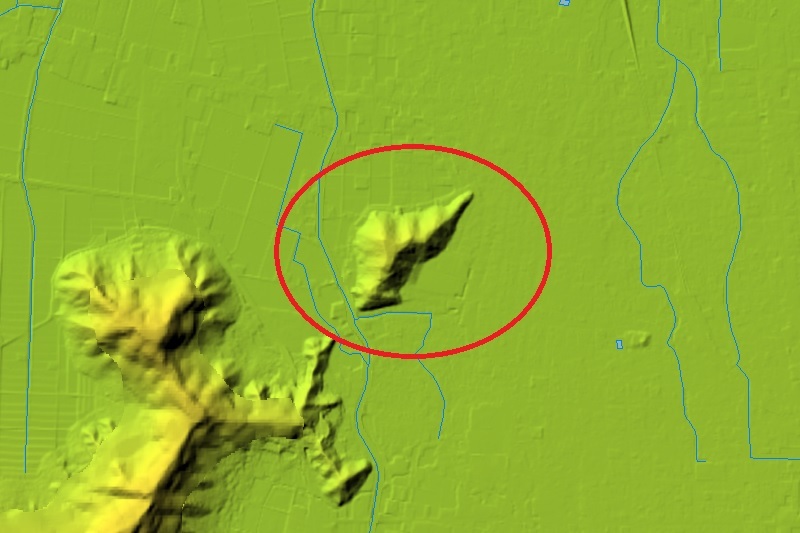 As the top of the hill exists near the west edge of the ridge, main areas are placed along the loose slope of eastern half as steps. Central area is located at the highest place, and at the center of central area there was a basement of main tower totally covered by stone wall. This basement is not so large and high, but has a complex shape as it utilizes original terrain and combined with basement of attached tower and backside gate. 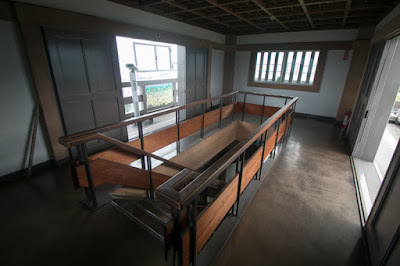 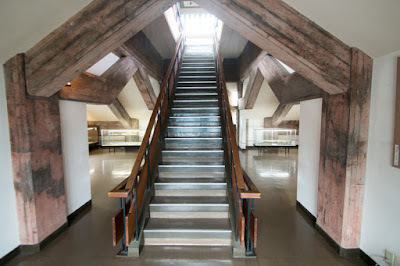 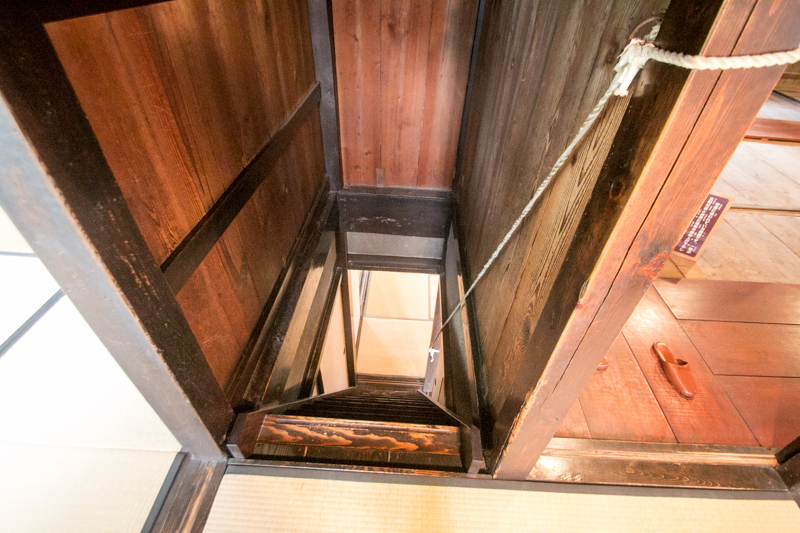 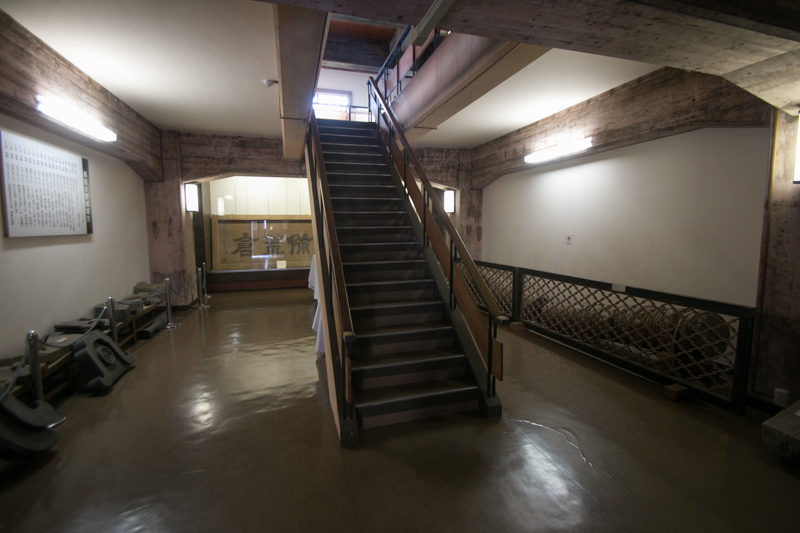 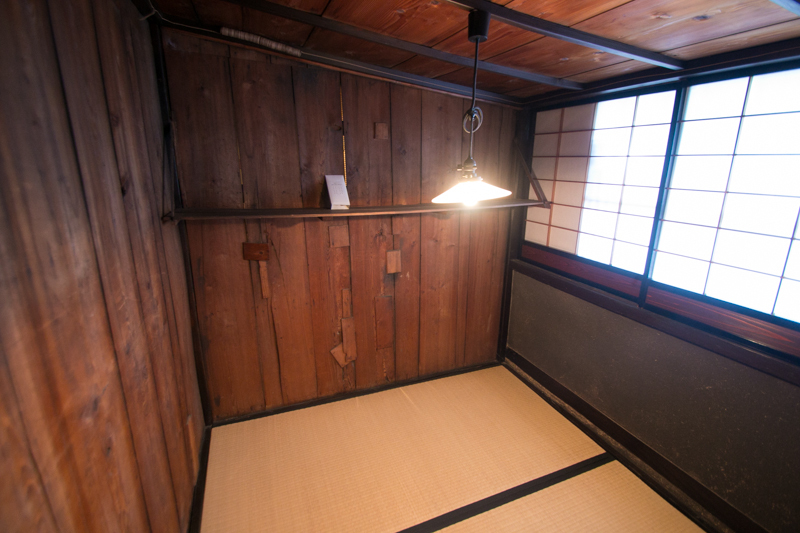 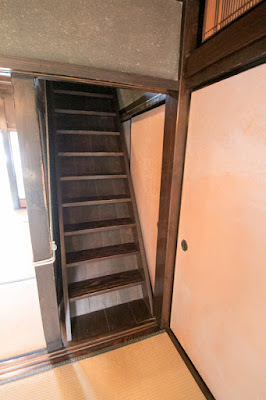 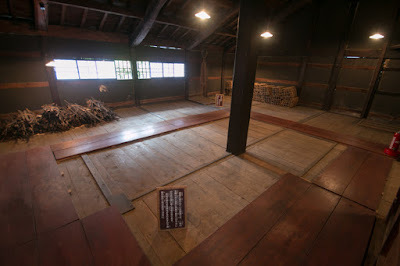 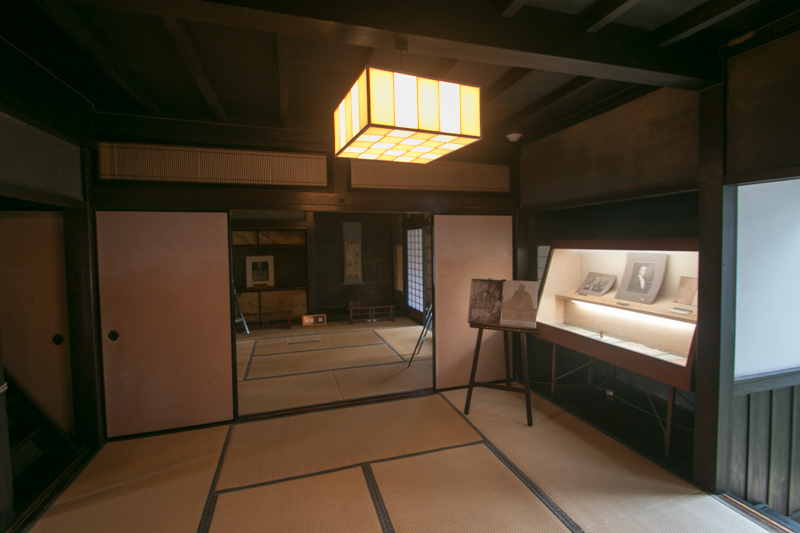 A two story three floor main tower was also built by Nagachika, along with two floor attached tower. 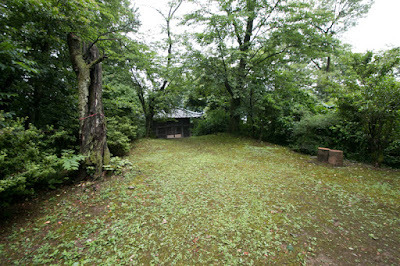 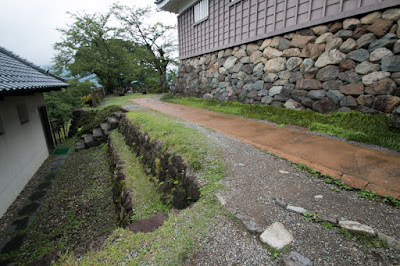 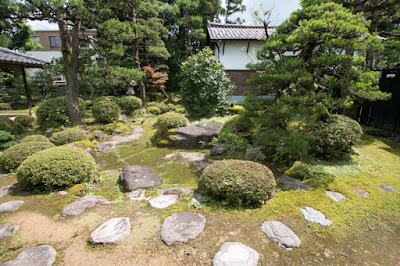 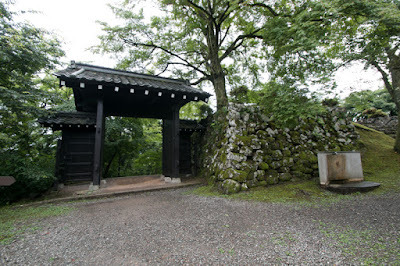 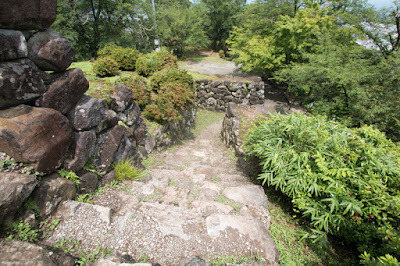 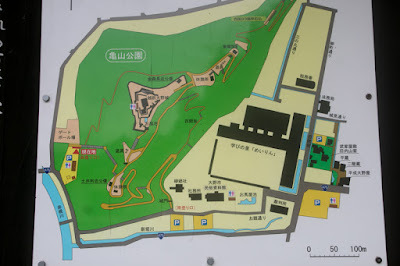 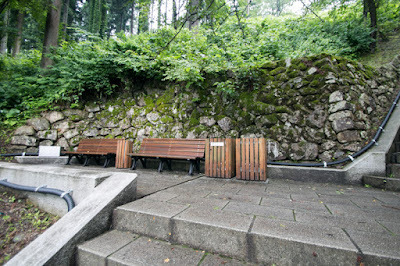 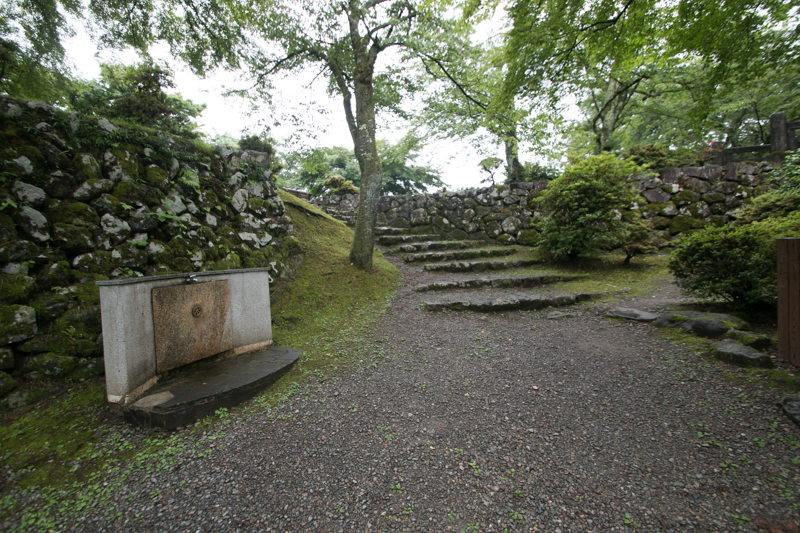 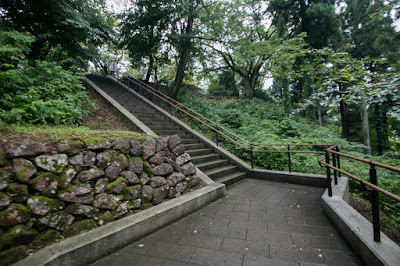 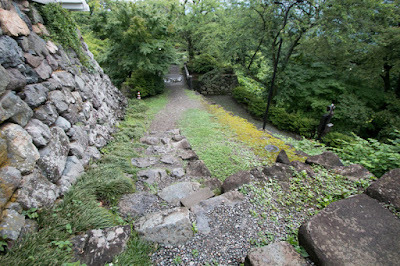 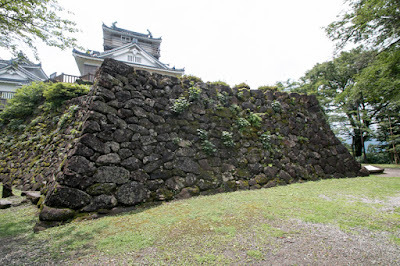 Both of central area and secondary area are separated by stone wall from lower area, and at the east edge connecting to main gate there was a corner turret to guard the entrance into hilltop area. 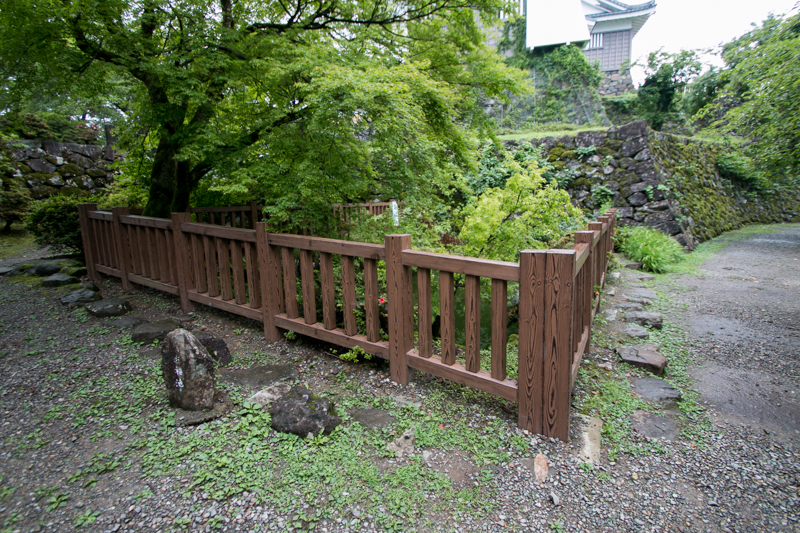 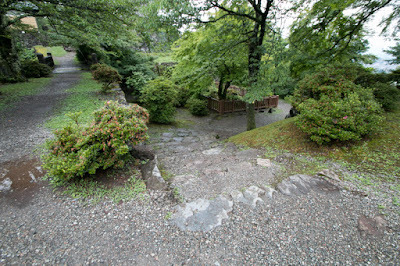 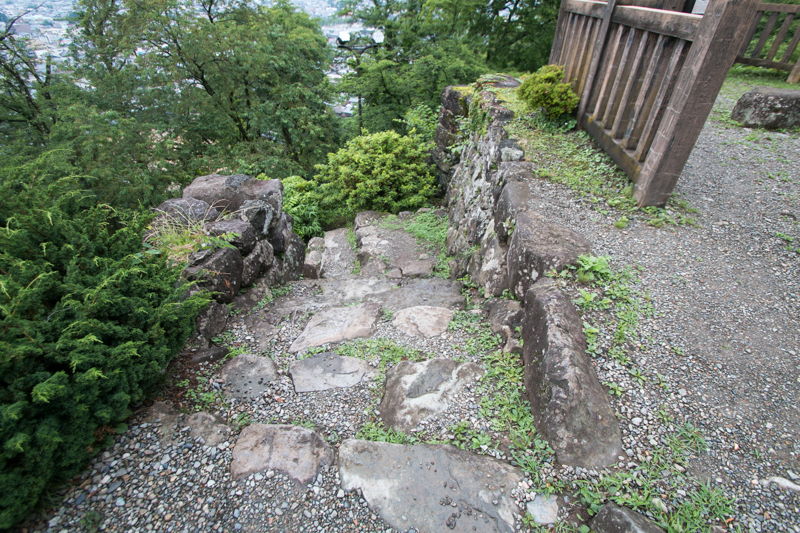 Contrary to this, backside has tight slope but directly connected to just beside of central area, thus composite gate and terrace guarded this side of the castle. 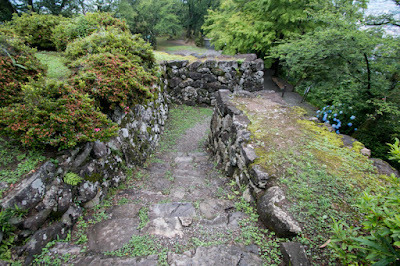 At the hillside there was a palace of lords and houses of upper class retainers, and there areas were surrounded by outer water moats. 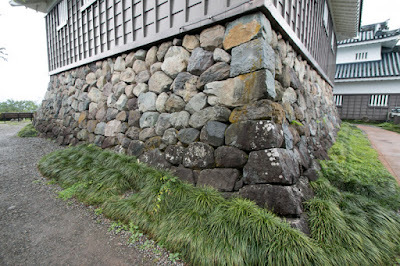 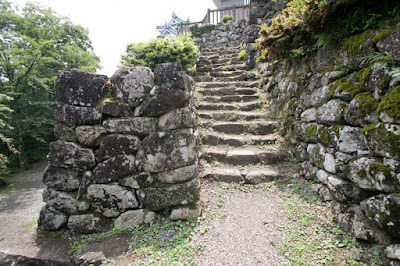 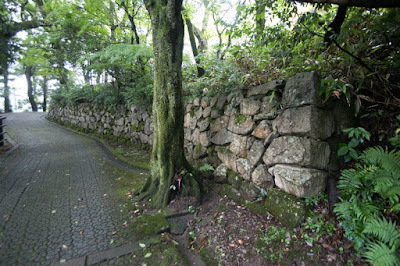 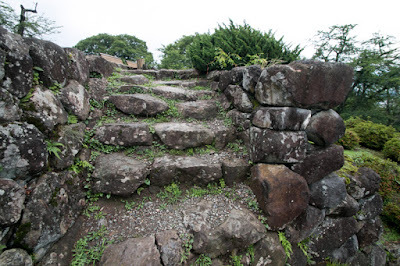 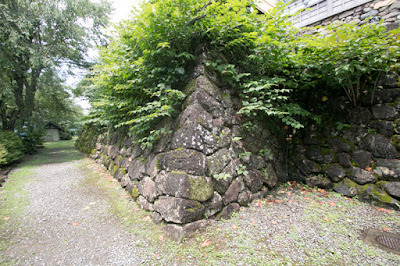 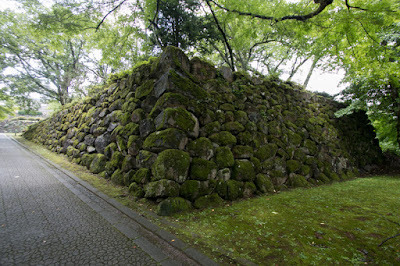 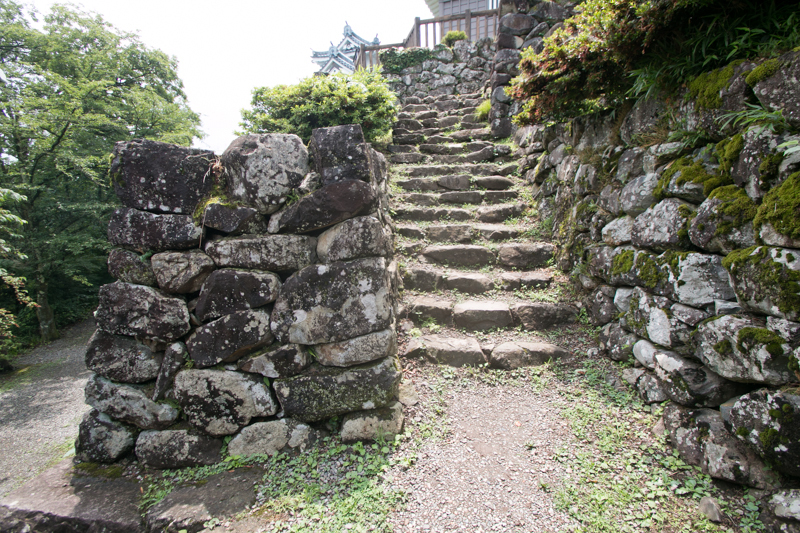 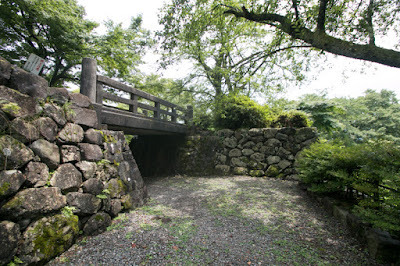 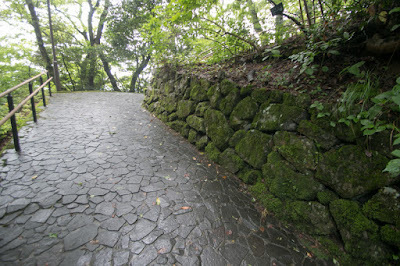 All stone walls were built in “Nodura Dumi” style, an old style consist of rough and not so shaped stones. 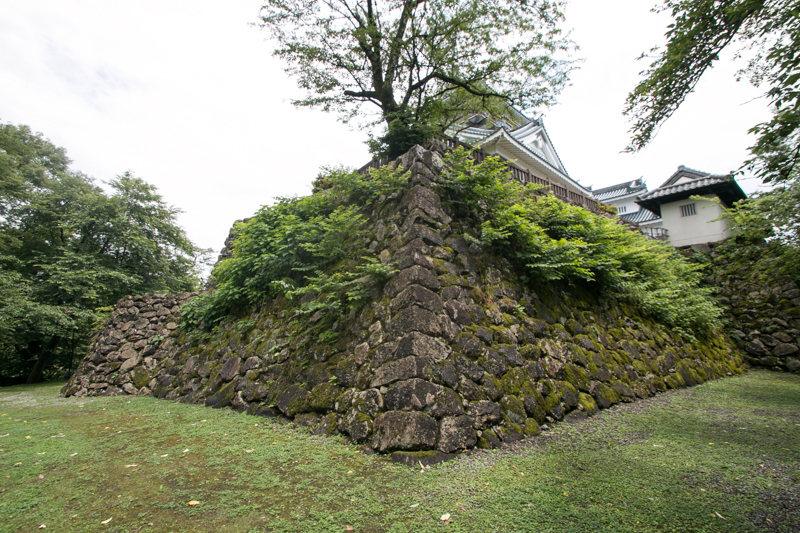 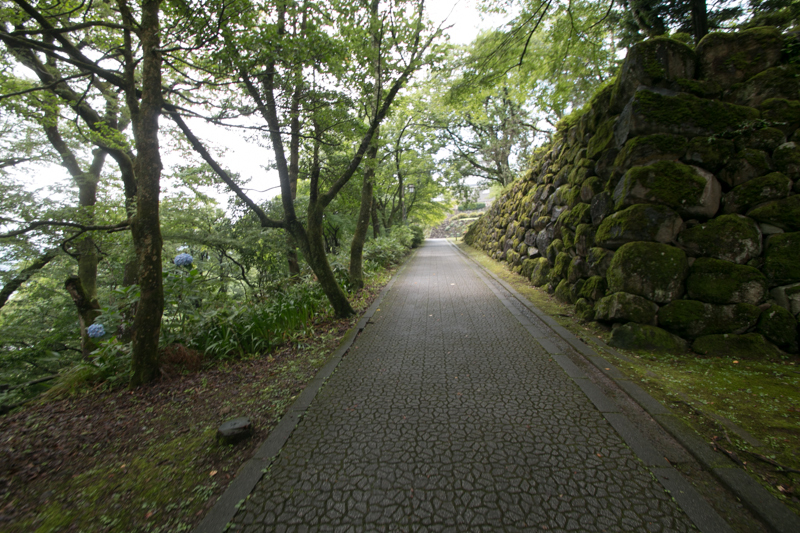 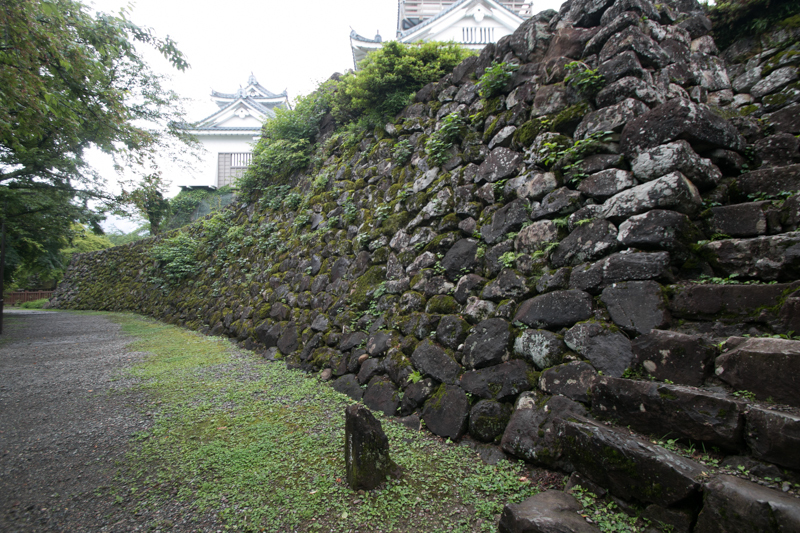 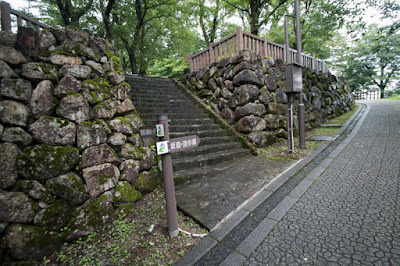 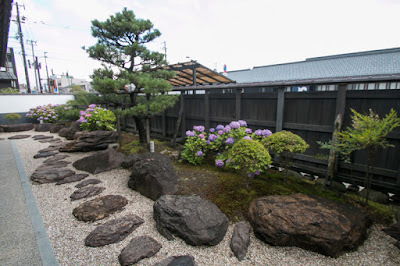 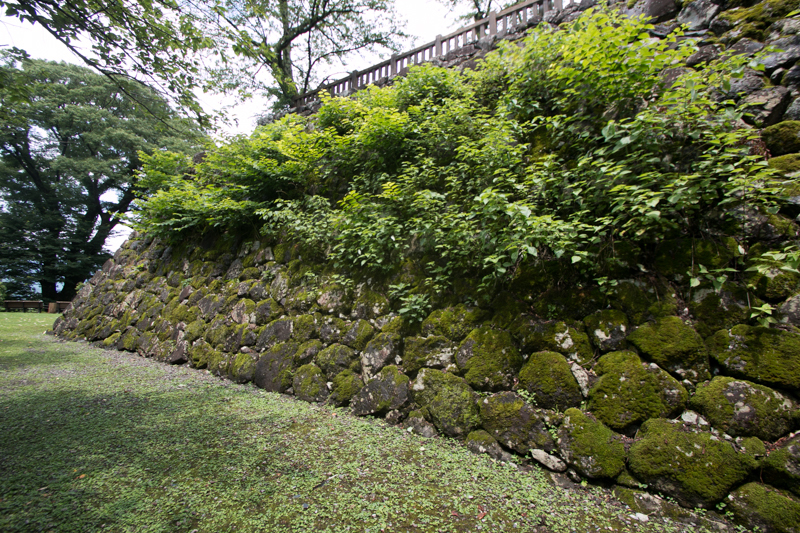 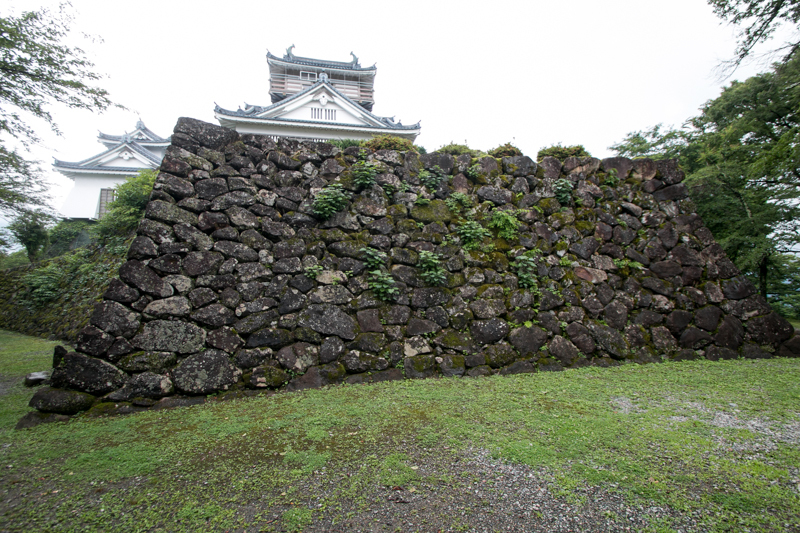 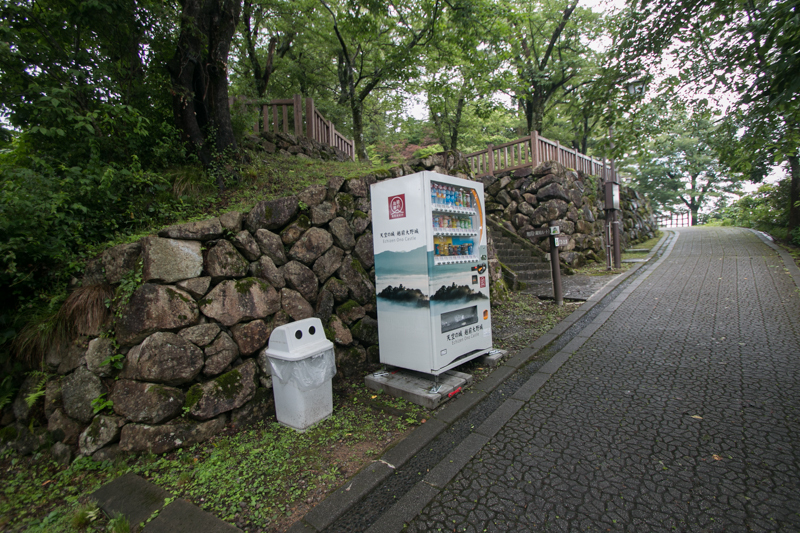 Combination of complex shape and rough stone is a feature of old generation stone walls built during Oda and Toyotomi period, and even though not sophisticated, these simple and familiar stone walls are well matched to the atmosphere of traditional castle town. 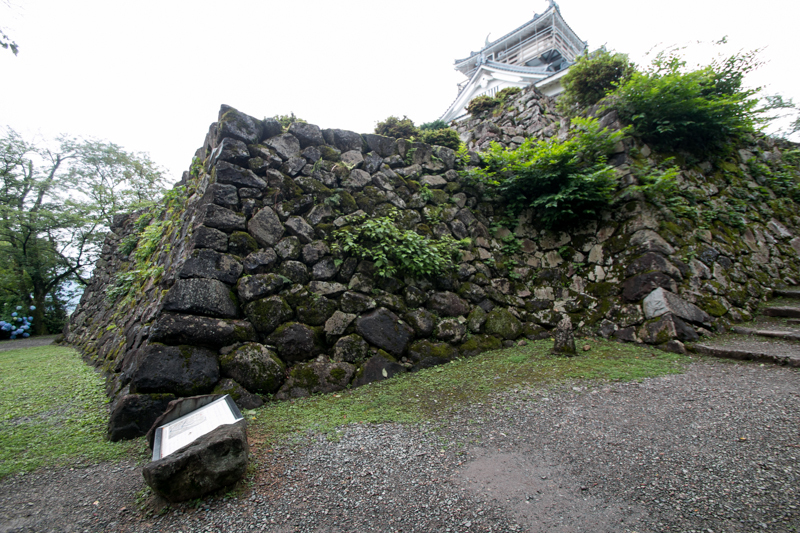 Nagachika promoted to the governor of Hida country (northeastern part of Gifu prefecture) in 1586, and later Aoki clan or Oda clan held this castle under Toyotomi government. After the battle of Sekigahara in 1600, Echizen country was given to Hideyasu Yuki (1574-1607), the second son of new ruler Ieyasu Tokugawa (1543-1616), and Ono castle was kept by his relatives or retainers. 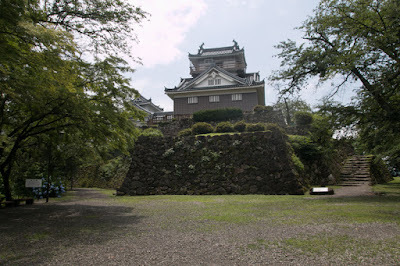 Later Doi clan became the governor of this castle in 1682 and had served as a commander by the end of Edo era. 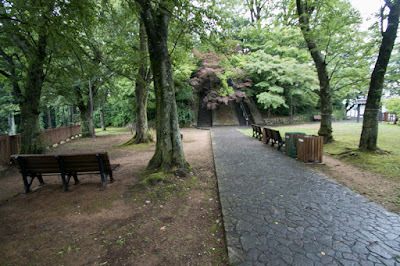 In 1775 due to big fire all buildings were burned down, but later reconstructed including main tower. 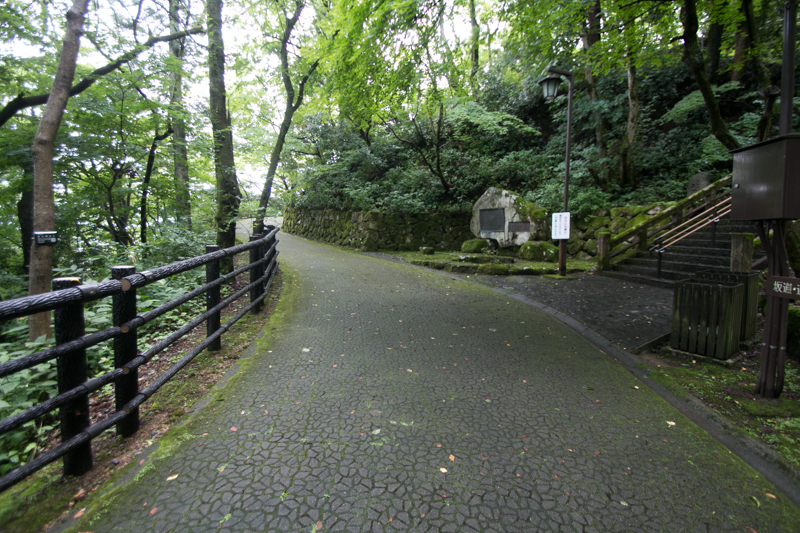 At the end of Edo era Ono domain suffered severe financial problem, but Toshitada Doi (1811-1869), the leader at the time, proceeded fiscal reform and adopt mercantile policy then finally restored the domain. 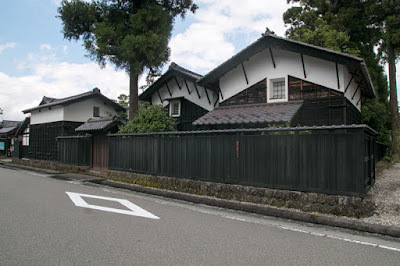 He also positively adopted Western technology, and even though a small domain, Ono domain was praised as an advanced one which had domain school taught Western knowledge and Western style army at Meiji revolution period. 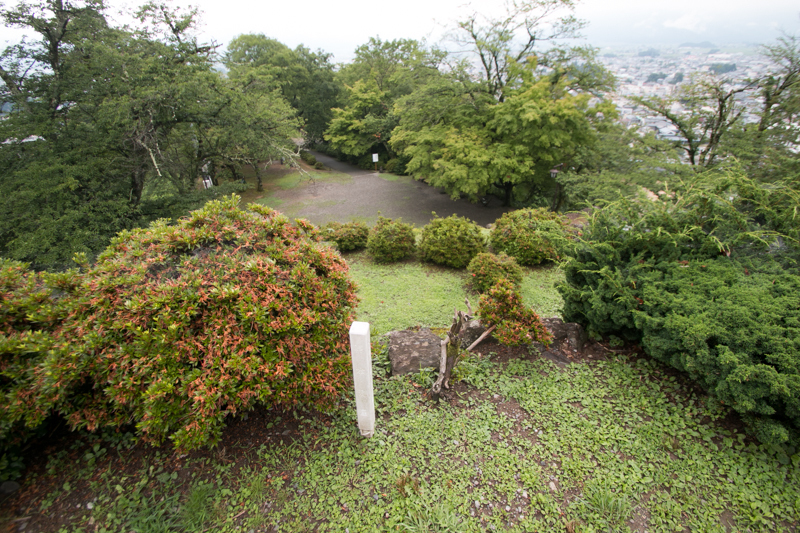 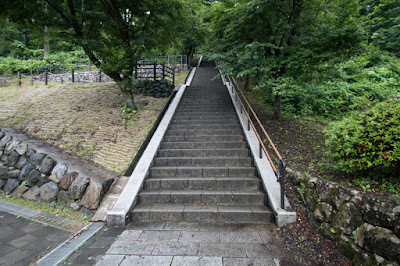 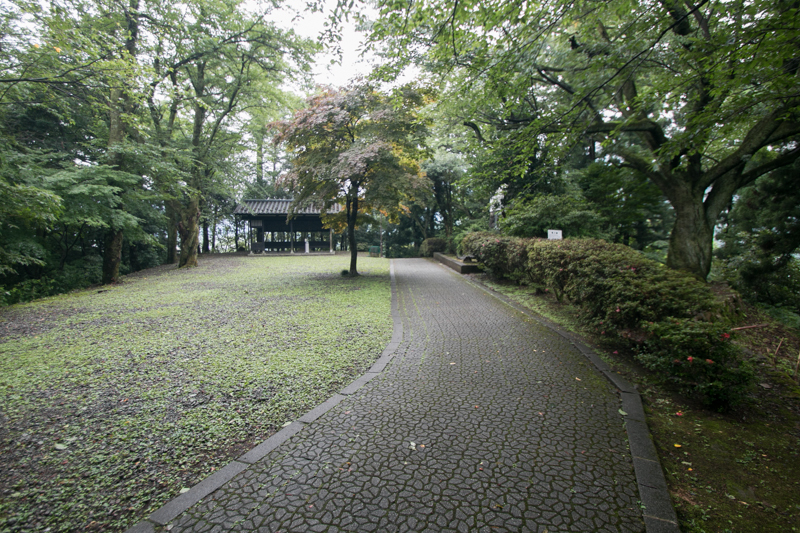 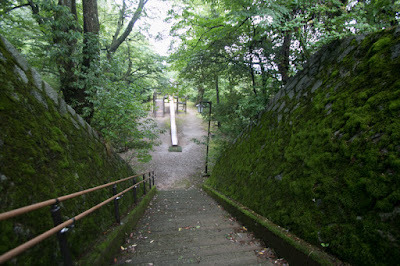 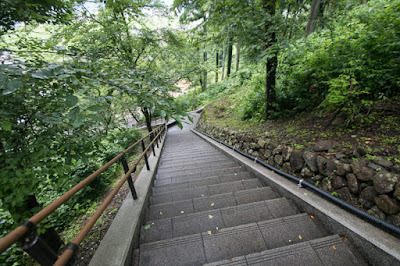 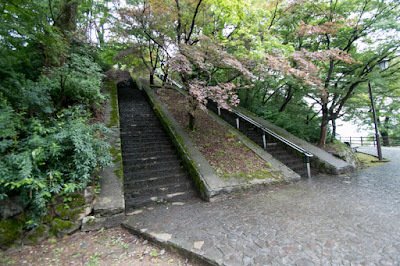 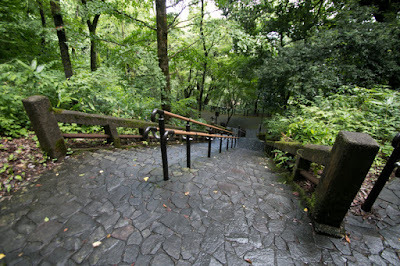 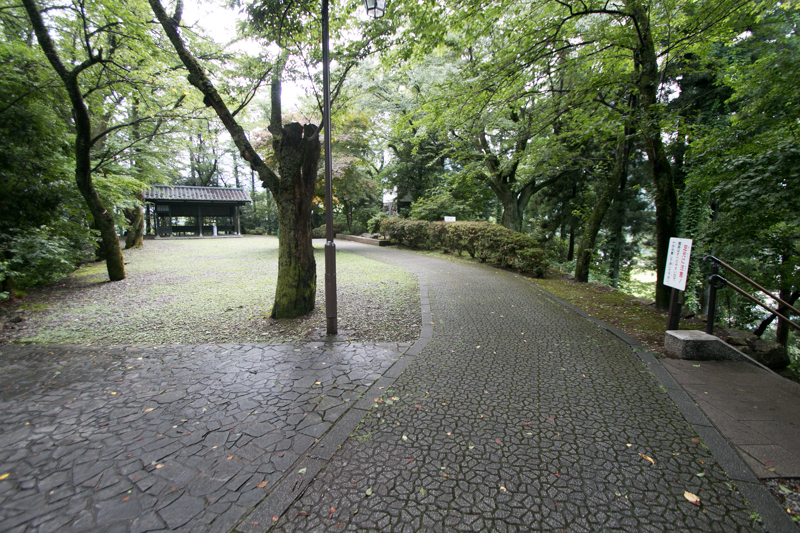 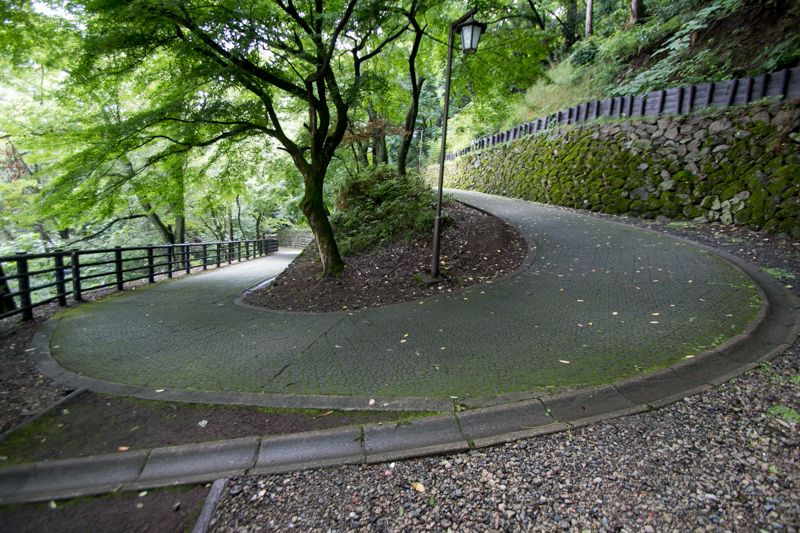 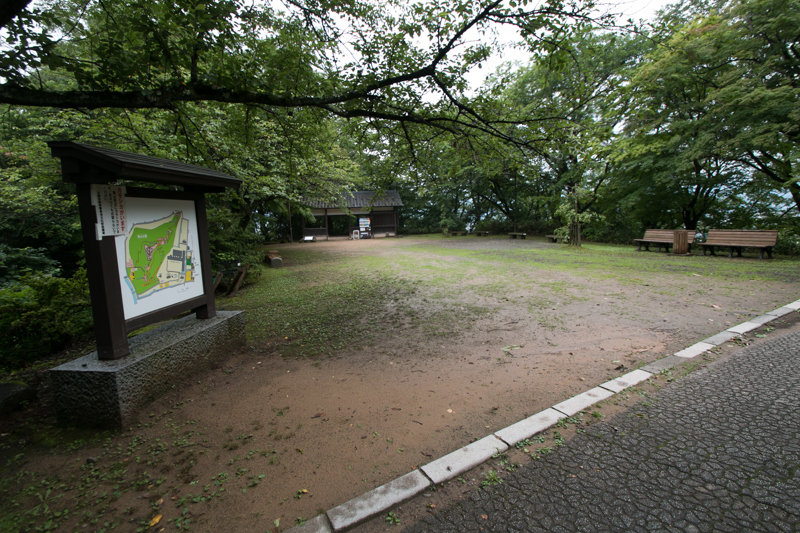 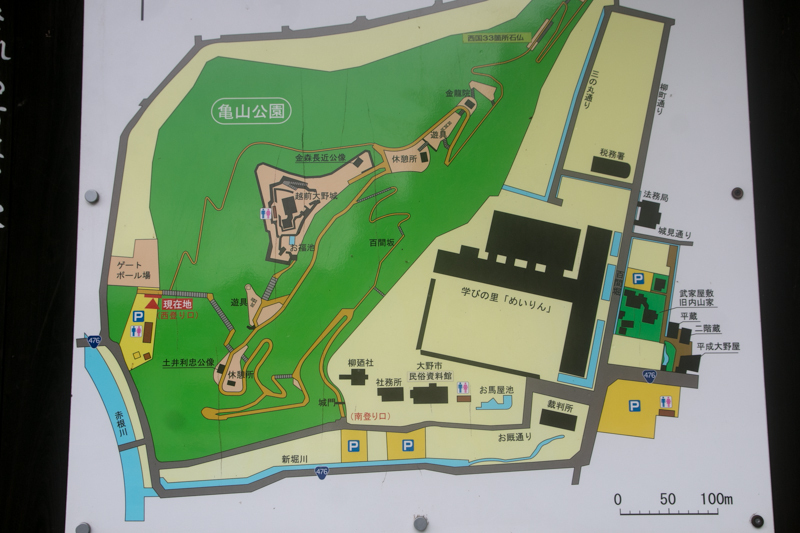 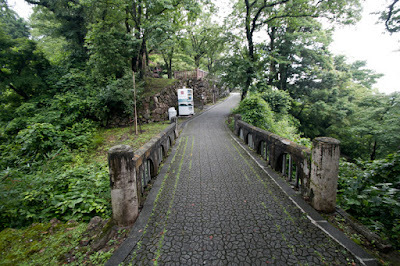 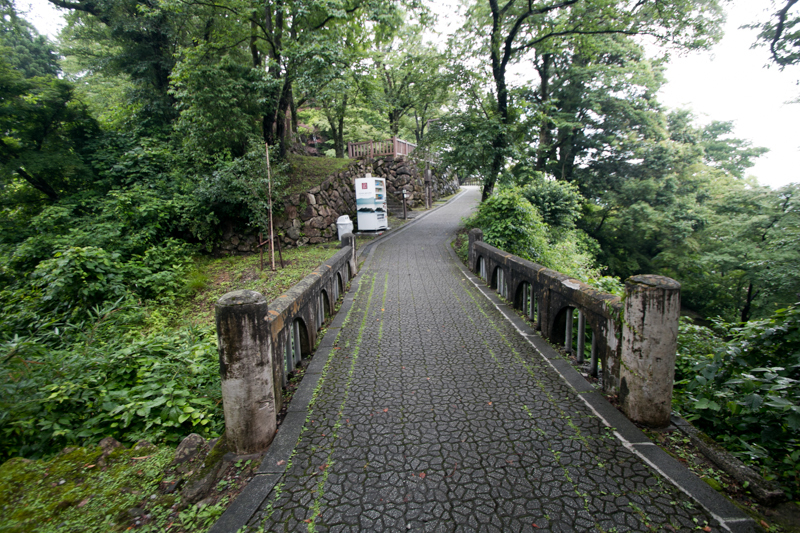 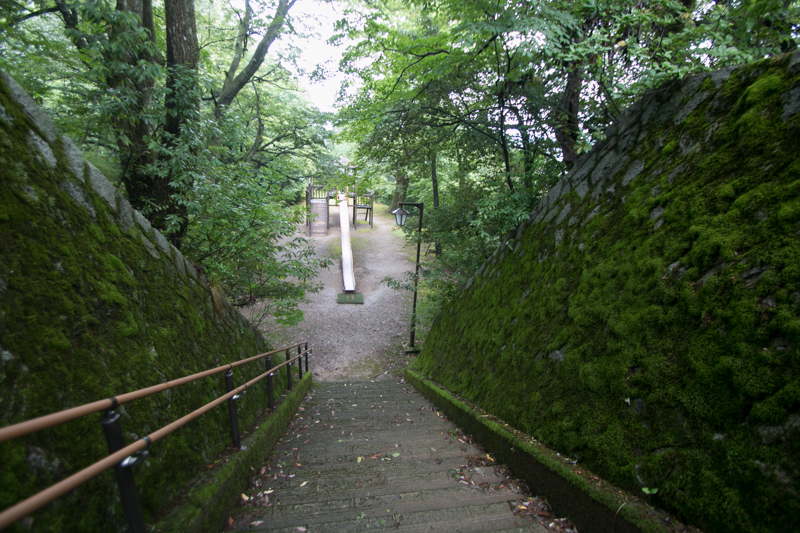 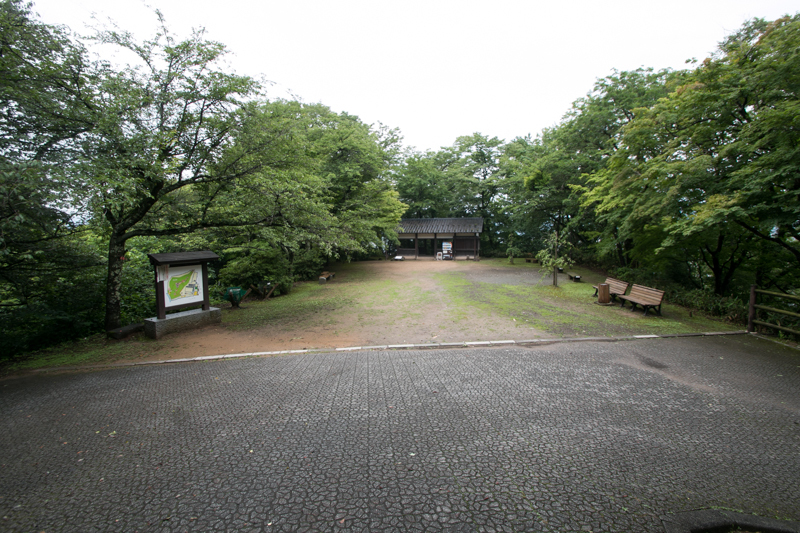 Subsequent to Meiji revolution, all buildings were lost and hillside area was transformed into a governmental area. 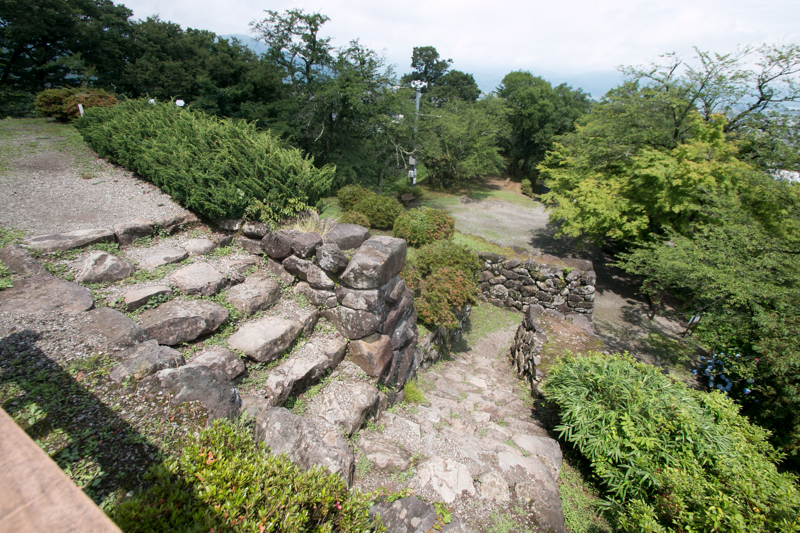 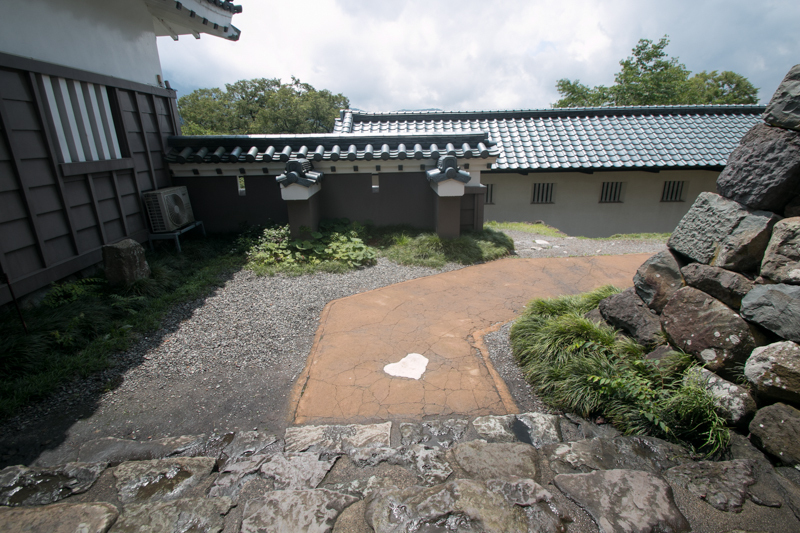 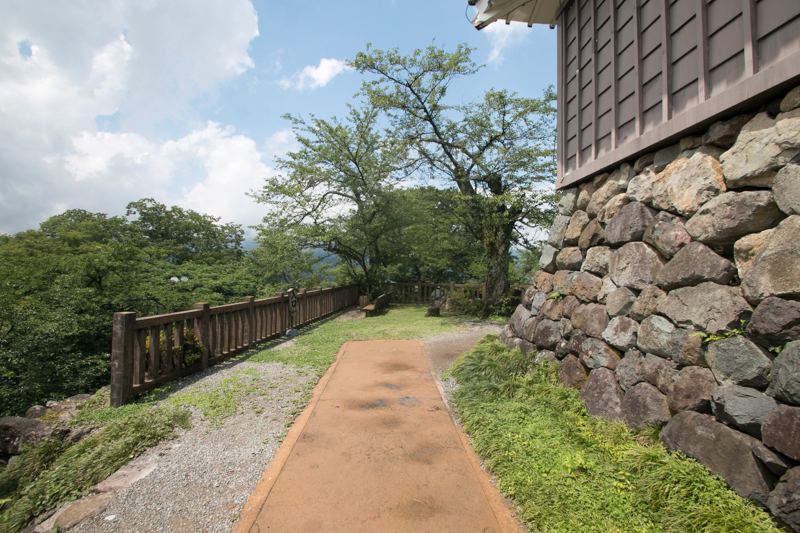 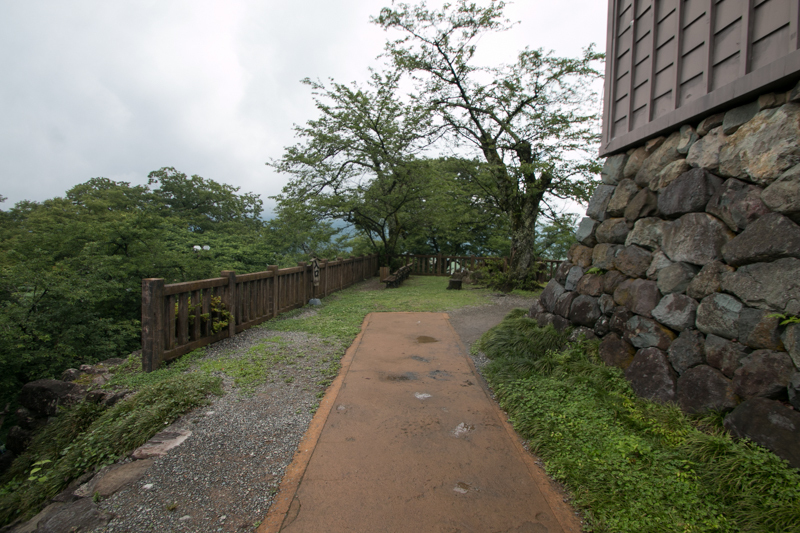 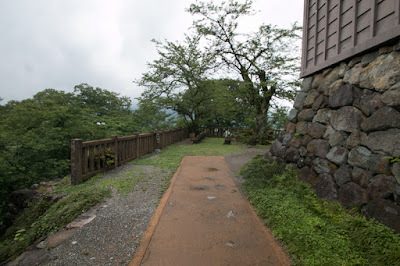 But stone walls on the mountain were preserved, and in 1968 an imitation of main tower was built by donation of former retainer and used as a local museum. 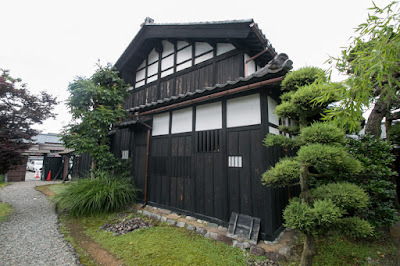 Around the castle, old town including traditional style samurai house and merchants' houses still remains. 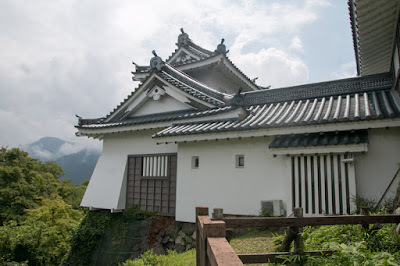 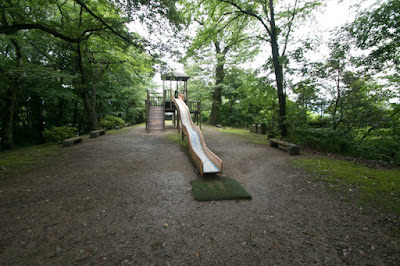 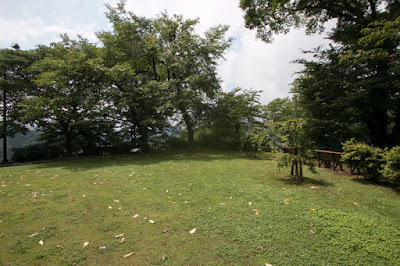 If condition allows the castle float on the sea of the clouds is seen from neighbor mountain, and local government advertises this castle as “castle in the sky". 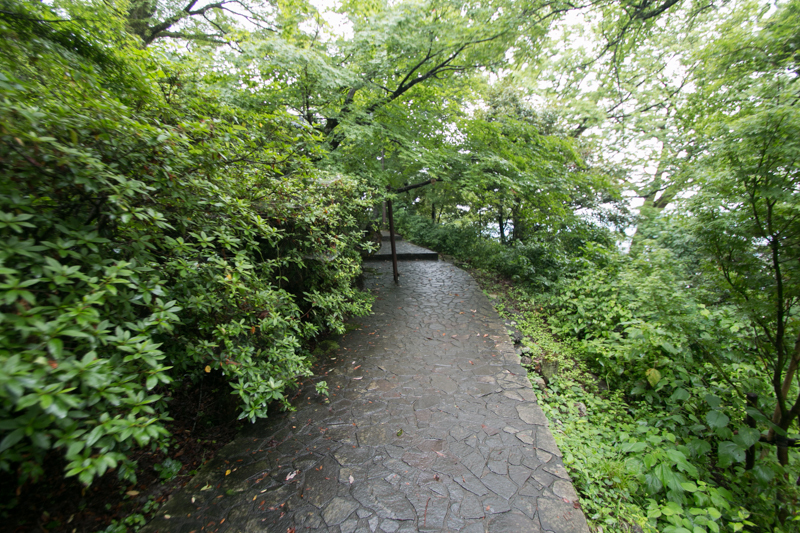 15 minutes walk from JR West Etsumi-Hokusen line (Kuzuryusen-line) Echizen-Ono station. 60 minutes drive from Hokuriku Jidoshado Expressway Fukui interchange.